Many of you know I run a full manuscript writers retreat in Avalon, NJ each year at the end of September. Besides getting an agent or editor to read and critique your full manuscript, help you polish and give you ideas to help get it published, it is small enough with only eight writers and two agent/editors to allow everyone personal time with the two professionals. I rent a very nice house in the ocean resort where we all work, eat, learn, and have fun together. Everyone gets a full manuscript critique with one of the professionals and a 30 page critique with the other. We split into two groups. Each group reads the other three writers manuscripts and critiques them. Each writer will get one hour in the group to go over their manuscript. I have found the group critiques to be invaluable. We also have a first page session during the retreat and I have some new games and brainstorming sessions planned to improve your writing in the evenings. There is plenty of time to talk about and revise your manuscript if needed. Plus, there is free time to walk the beach or swim in the pool. Space is limited to eight writers. 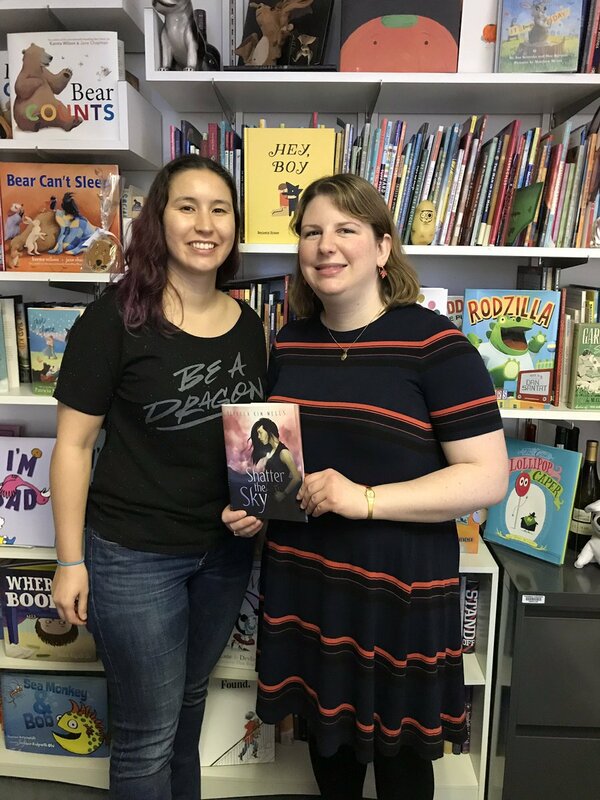 Rebecca Kim Wells, author of SHATTER THE SKY on left with her editor Catherine Laudone holding the book coming out this summer. Catherine is looking to acquire contemporary, fantasy, historical, coming of age, romance, humor, or literary young adult fiction with a strong narrative voice and original hook, and middle grade fiction that captures the magic of being a kid. 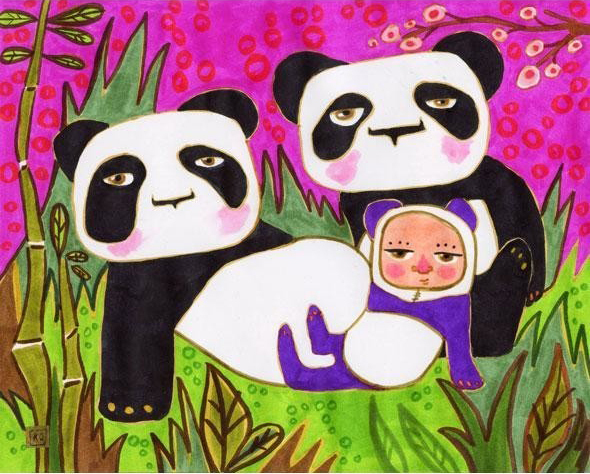 She is also acquiring fiction and nonfiction picture books, and commercial chapter books with series potential. 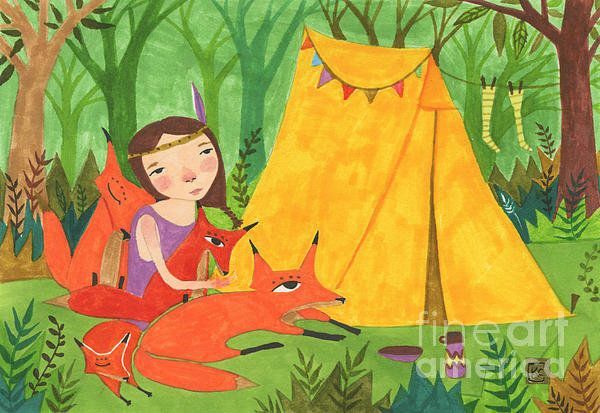 She is especially interested in stories featuring friendships, and sibling or parent-child relationships, as well as characters with unusual hobbies or passions. Wendi was raised by hardworking immigrant parents in the northern suburbs of Chicago. Shortly after graduating from Northwestern University with a degree in Creative Writing and Anthropology, she started working at Greenburger under the mentorship of Brenda Bowen. 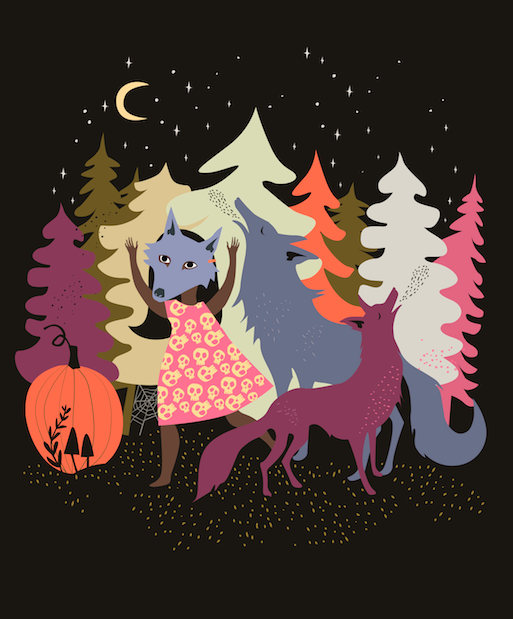 Wendi likes puns, quirky humor, girl power, and cute animals in picture books, middle grade, and young adult fiction. She’s also looking for literary middle grade, young adult, or adult fiction on the first-generation American experience. Wendi loves a middle grade with that classic vibe and any book that makes you want to hug someone. Although she leans towards contemporary fiction, Wendi first and foremost appreciates anything character-driven with a strong voice. 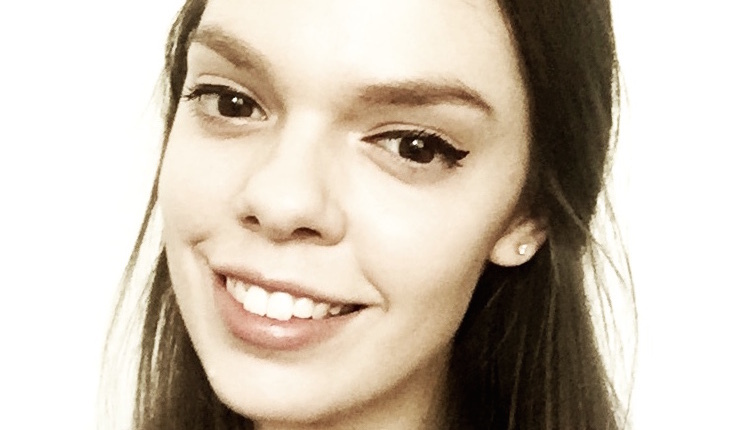 Alex joined Simon & Schuster in April 2015 as managing editorial assistant but was drawn more to story editing than copyediting, so she moved down the hall to Atheneum in May 2016. As assistant to Caitlyn Dlouhy and Richard Jackson, Alex has been lucky enough to work with award-winning and New York Times bestselling authors Jason Reynolds, William Joyce, Ashley Bryan, Cynthia Kadohata, Alison McGhee, Kathi Appelt, An Na, Sharon Draper, Doreen Cronin, Betsy Lewin, Ian Falconer, Judith Viorst, Phyllis Reynolds Naylor, and Brian Floca—just to name a few. Alex is drawn to quirky, irreverent picture books; middle grade that balances tough subjects with light, accessible narratives; YA with a strong voice that has something to say; and humor in everything. She is particularly interested in acquiring literary stories featuring characters with disabilities, LatinX representation, and unusual storytelling structures. She earned a B.A. in English and Communications from Rollins College, and holds a M.S. in Publishing from NYU. Follow her on Twitter @Alex_Borbolla. CLAIRE FRIEDMAN – AGENT Inkwell Management. 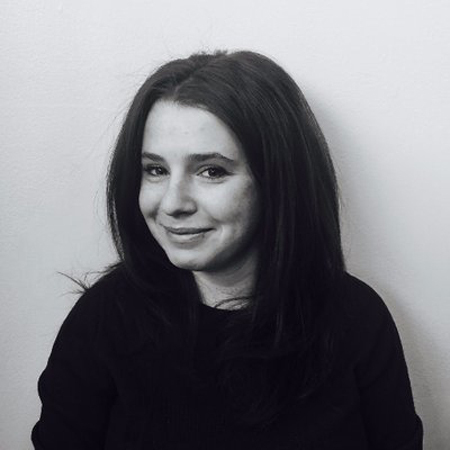 Claire Friedman is a literary agent at InkWell Management. 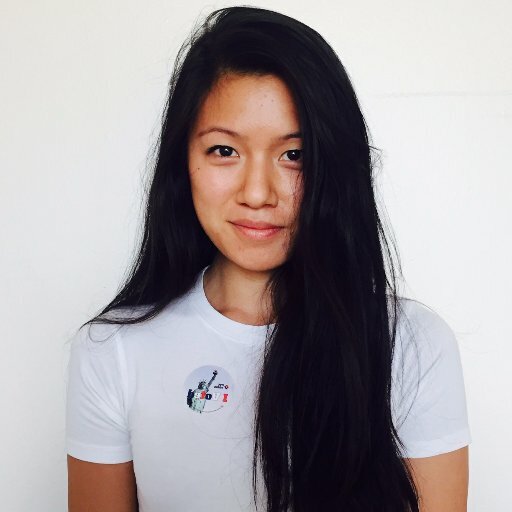 Originally from Salt Lake City, Claire spent three years working for local indie bookstore, the King’s English, before moving to New York to attend Columbia University. 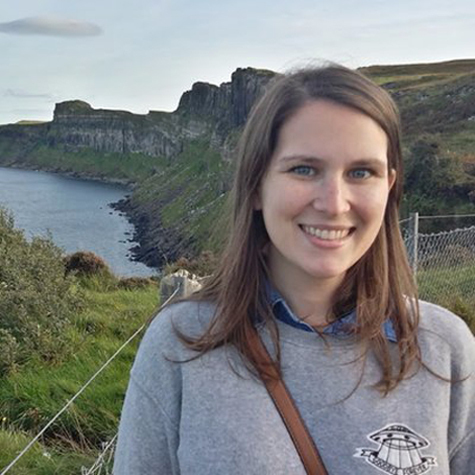 Prior to joining InkWell in 2016, Claire worked at Macmillan, Time Inc., and Don Congdon Associates. She is building her list and it looking for picture books, chapter books, middle grade, young adult, and narrative non-fiction. Looking for smart, literary YA with a bite. Anything a little edgy, a little dark, or a little weird has my name written all over it. She loves fantasy and sci-fi, but can also sink her teeth into stand-out contemporary work — as long as the voice is strong, the genre doesn’t matter to me. 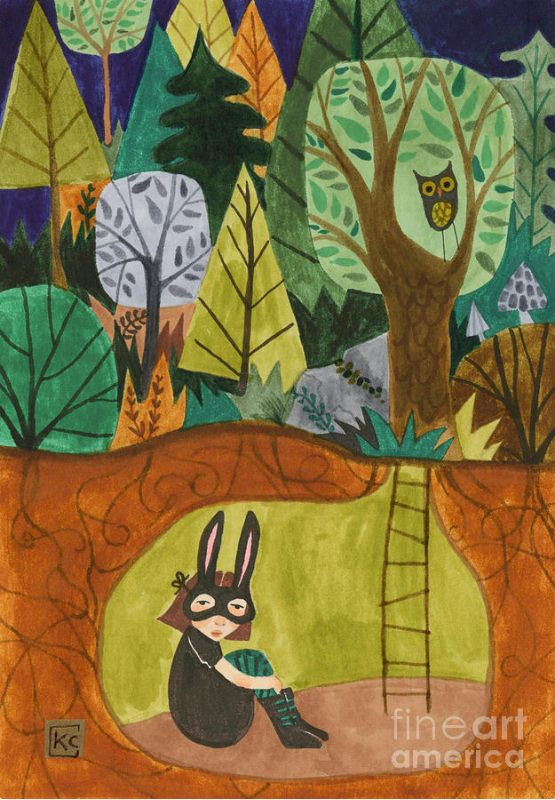 In the middle grade space, I’m looking for witty, unexpected books in the vein of Pseudonymous Bosch or Lemony Snickett. Hope you consider joining us in Avalon this year. Send me an email if you are interested in attending. Look forward to hearing from you. 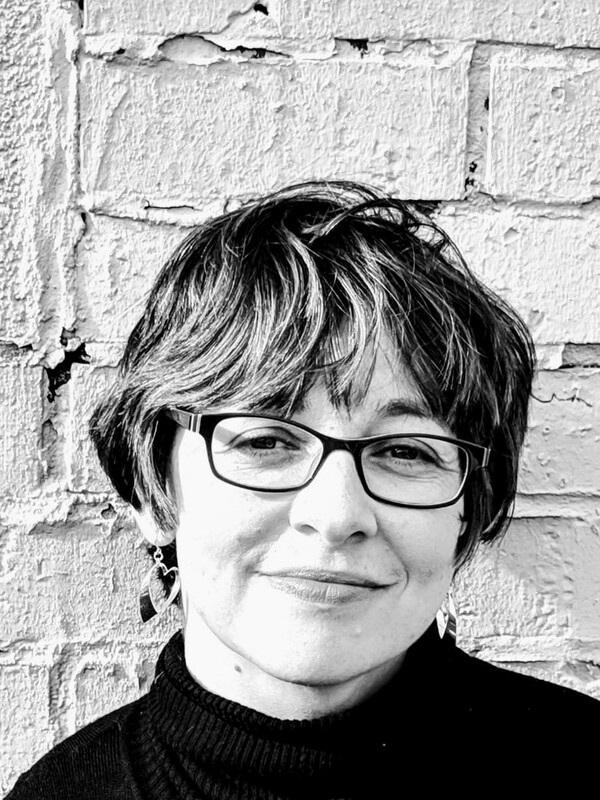 Alexandria Borbolla – Attending the Avalon (Full Manuscript Critique) Writer’s Retreat September 25th to September 29th in Avalon, NJ. Alexandria Borbolla’s life as an editor began with her own name—please, call her Alex. For YA, I love thoughtful projects with real depth; nothing super fluffy. I also tend to veer a little darker–even a little weird (think Andrew Smith’s 100 Sideways Miles and Mindy McGinnis’ The Female of the Species). Give me a strong voice with something to say that really makes me stop and think. For middle grade, I like a lighter voice with a story that has some heft; hijinx and heart, I call it. Think Kathi Appelt, Kate DiCamillo, and Rebecca Stead. Give me something clever and goofy like Doreen Cronin’s Chicken Squad series! For picture books, anything that makes me laugh is a go. It can be dry humor like Jon Klassen, or silly like Ben Clanton (specifically Rot, the Cutest in the World—who knew a rotten potato could be so charming?). I don’t like anything TOO sentimental or message-y, but I’m open to sweeter texts, as well. 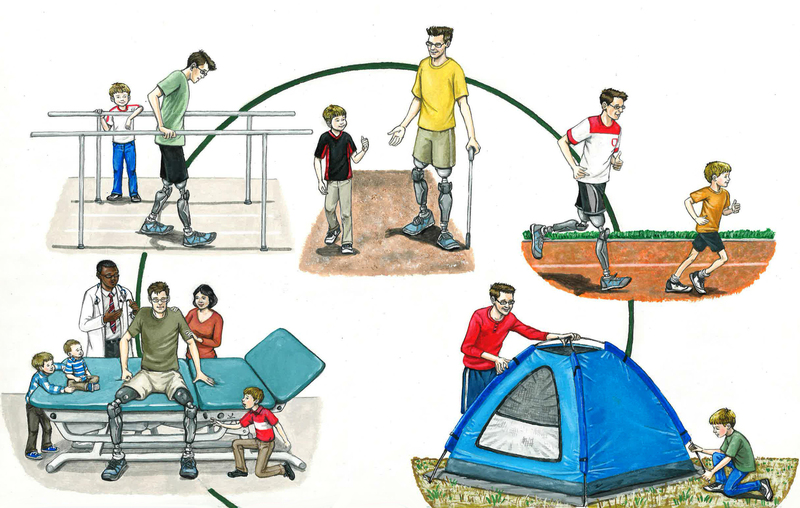 Disability representation. I have a younger sister with Down Syndrome, so this is a topic near and dear to my heart. LatinX representation. My father was born in Cuba, and my grandparents moved the whole family to the United States shortly after Castro came into power. Make me laugh! My sense of humor extends from the driest, darkest, most British humor to the completely absurd. Psychological. This includes psychological thrillers, unreliable narrators, and stories that cover mental illness. Unique storytelling structures. I love anything that plays with structure; I’m probably the only person who actually enjoyed having to read Catch-22 in AP English. I love books that play with timelines, have multiple character perspectives, et cetera. Surprise me! More Info to follow about the Avalon Writer’s Retreat later this week. Winners please send me your addresses – Put BOOK WINNER in the subject box. Congratulations! 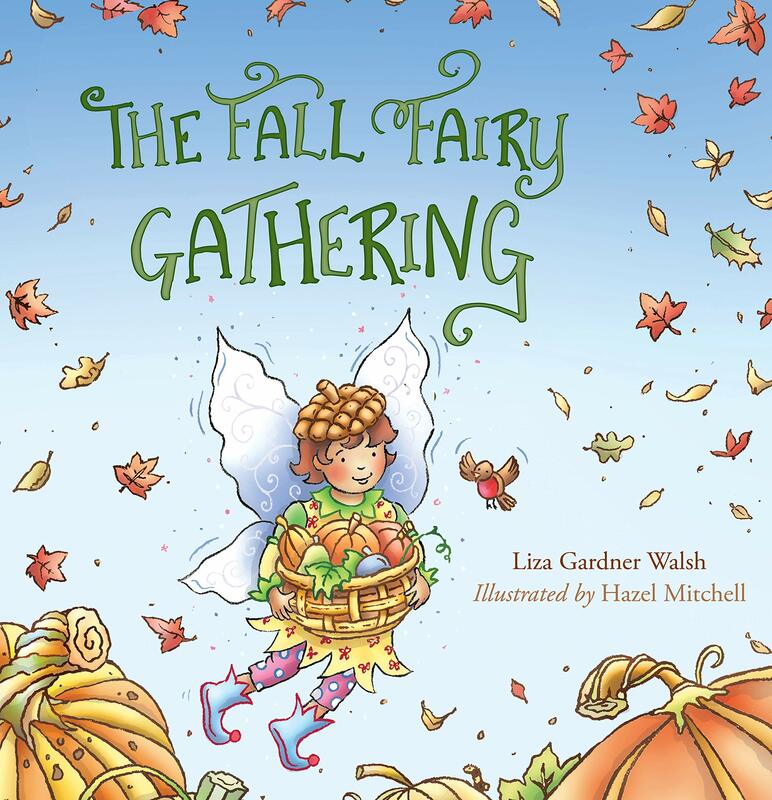 COVER REVEAL: Beloved fairy writer Liza Gardner Walsh explores what fairy’s do in fall in this charming picture book of rhyming questions is paired with warm and whimsical illustrations by Hazel Mitchell. Available Aug 1st. Look for a book giveaway in July. 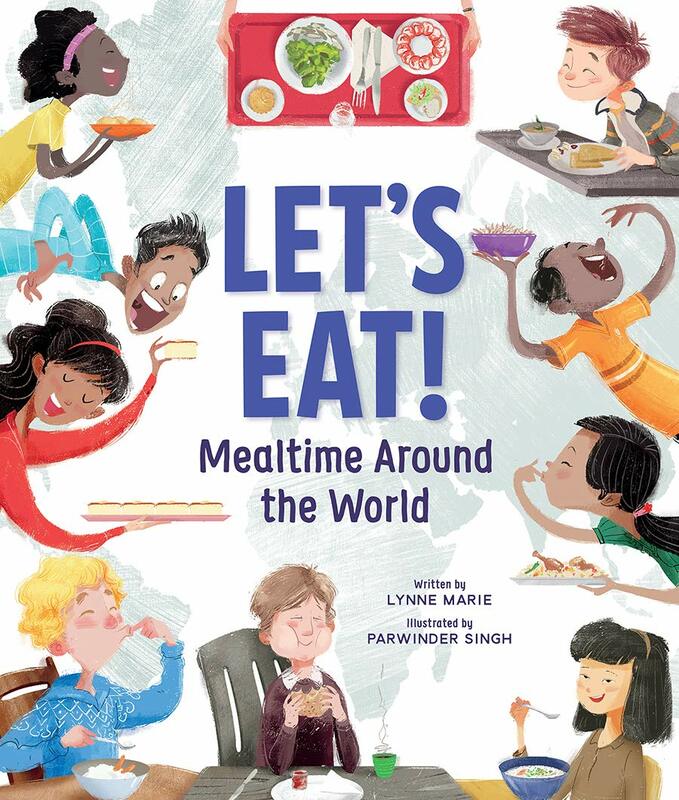 COVER REVEAL: Kids will really want to dig in to this fun with this informational book that explores foods from 13 countries around the world written by Lynne Marie and Illustrated by Parwinder Singh. Avaliable on November 5th. Look for a book giveaway in October. CONGRATULATIONS TO NOTABLE SOCIAL STUDIES AWARD WINNER DARLENE BECK-JACOBSON: Marissa Moss at Creston has bought her new middle grade novel, Wishes, Dares and How to Stand Up to a Bully. 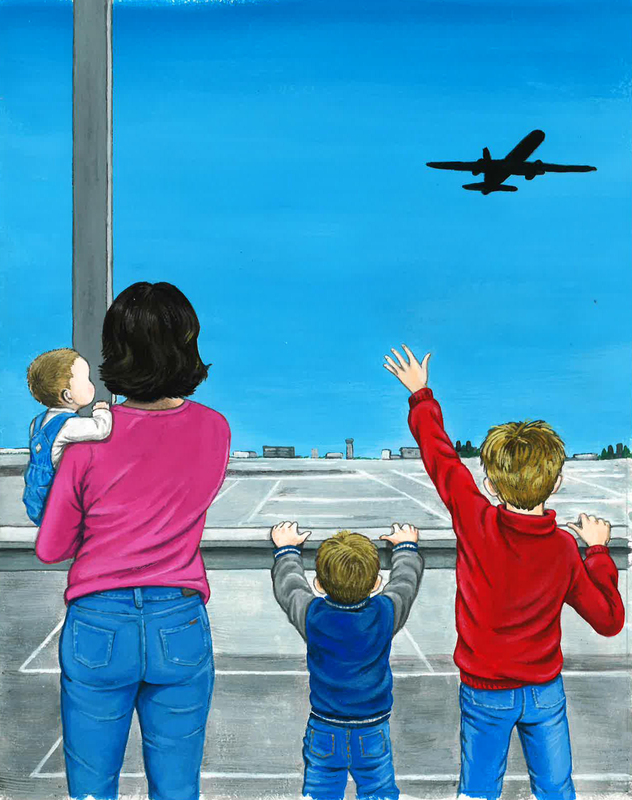 The novel in verse crystallizes a boy’s worries about his father, who is MIA in Vietnam, and how his family, new best friend, and a bully unexpectedly help him find the courage to do the right thing, not just the easy thing. Publication is set for spring 2020; Liza Fleissig at Liza Royce Agency did the deal for world rights. At Knopf Children’s: Erin Clarke has been promoted to editorial director; Katherine Harrison to senior editor; Kelly Delaney to editor; Karen Greenberg to associate editor; and Marisa Dinovis to associate editor. 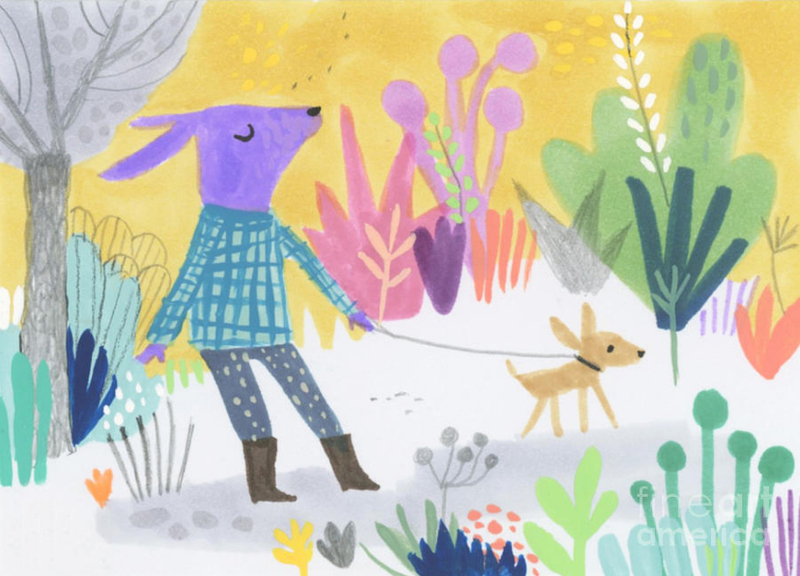 At Abrams Children’s: Anne Heltzel has been promoted to executive editor, Pam Notarantonio is promoted to art director, children’s books and ComicArts. Amulet/Abrams Children’s: Erica Finkel moves up to senior editor and Emily Daluga becomes assistant editor. 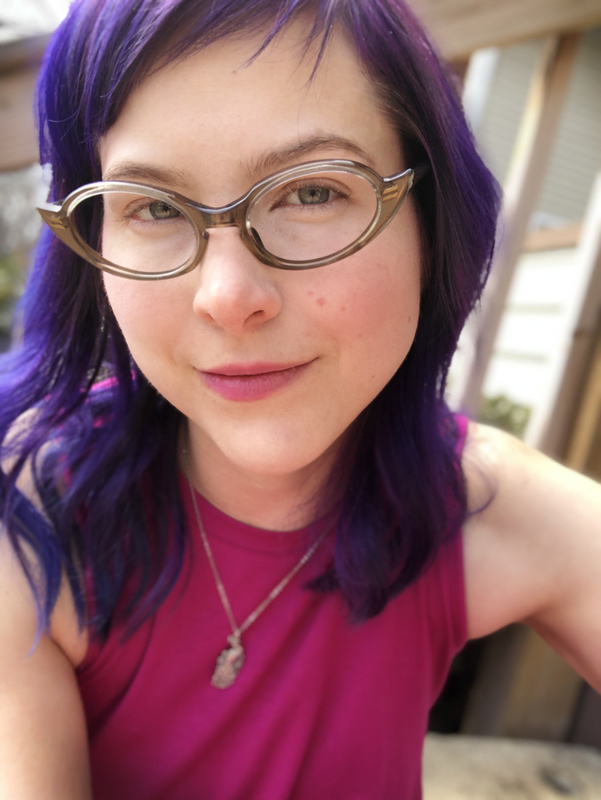 At Wendy Lamb Books: Dana Carey moves up to associate editor. At Random House Children’s: Maria Modugno becomes executive editorial director. T.S. Ferguson, has joined Jimmy Patterson as editor. He was previously editor with Harlequin Teen/Inkyard Press. 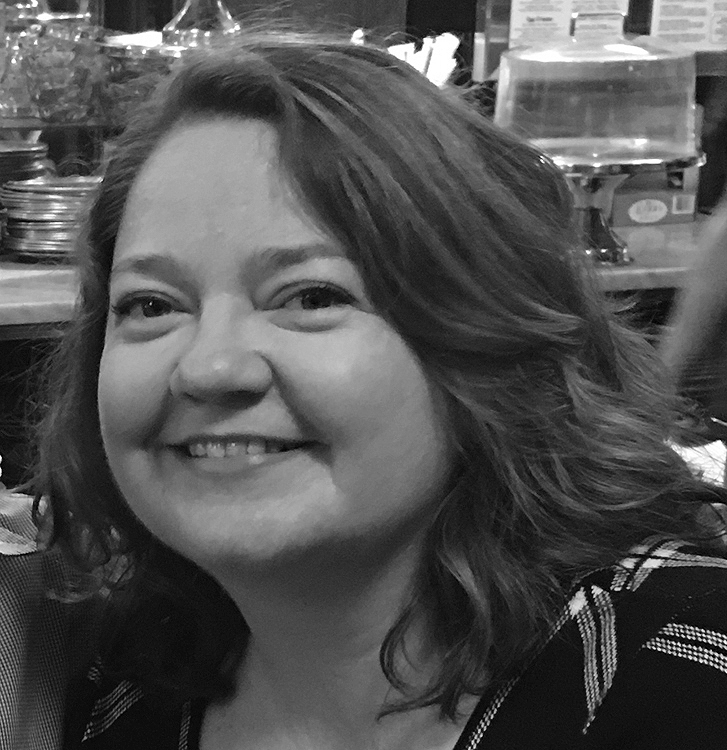 Claire Draper has joined the Bent Agency as an agent. She was previously an assistant at Inkwell Management. 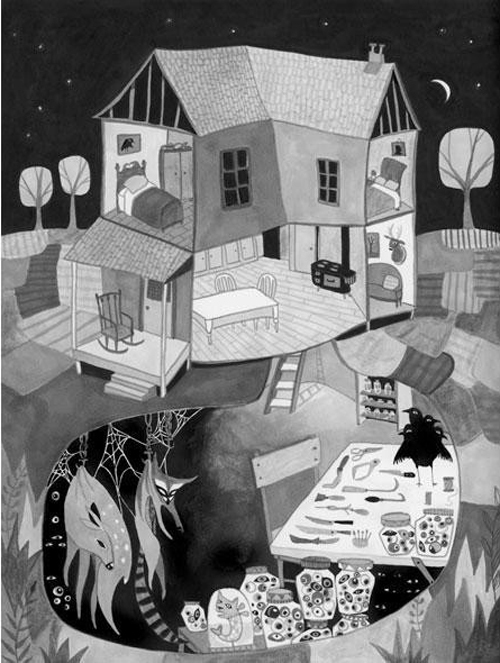 Jan Baumer has joined Folio Literary Management as an agent. She was formerly acquisitions editor at Harper One. DD’s Starving Writers Contest – First Prize $500! The Franklin County Writers’ Guild is the recipient of an anonymous gift to fund a free fiction writers contest titled DD’s Starving Writers Contest. This will be a one-time only fiction contest with the following prizes: 1st place-$500.00; 2nd place-$250.00; 3rd place-$100.00. The final judge for the contest is Nancy Peacock, the author of the novels Life Without Water (chosen as a New York Times Notable Book), Home Across the Road, and The Life and Times of Persimmon Wilson, as well as the memoir and “writing-in-the-real-world” guide A Broom of One’s Own: Words on Writing, Housecleaning and Life. Peacock was Piedmont Laureate in 2018. 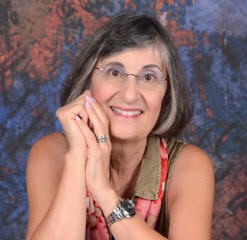 She has facilitated several writing workshops and retreats for women. 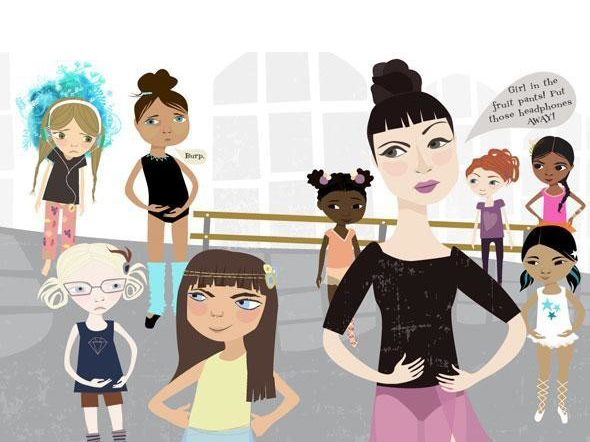 Her free Prompt Writing Class has been active since 2003 and continues to gain in popularity. Email manuscripts not exceeding 3000 words, double spaced, 12 pt Time Roman font. Submissions shall not have been previously published and only one submission per author. Send only your own original work. FCAC members of the contest committee, or anyone associated with this contest may not enter. 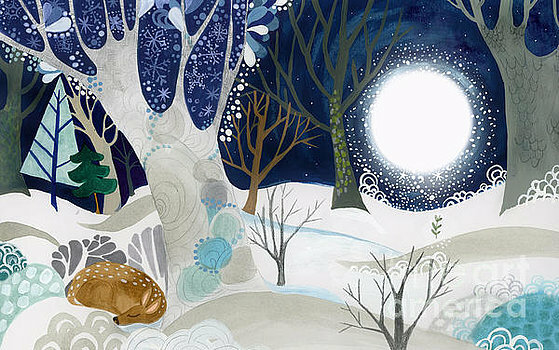 Kate Cosgrove is an illustrator and artist from Michigan. She received a BFA with honors from Michigan State University. 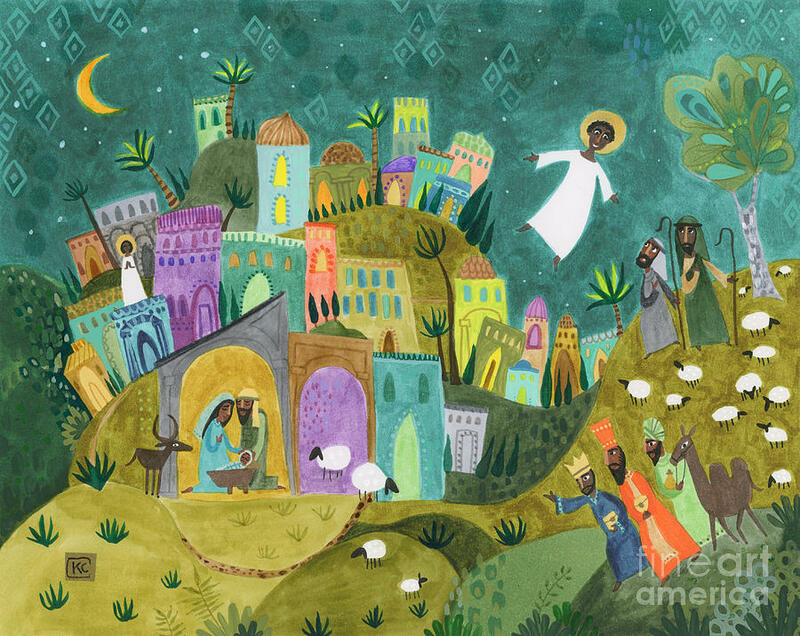 Kate’s illustrations have been published in all kinds of print and web media. She has exhibited in galleries and online, with collectors across the United States, Australia, Canada, Colombia, England, France, Switzerland, and Ukraine. 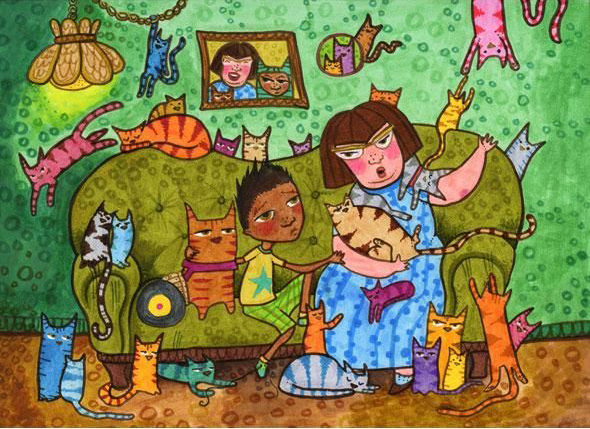 Cosgrove illustrated ‘Family Album,’ a children’s album by the hit rock band The Verve Pipe. 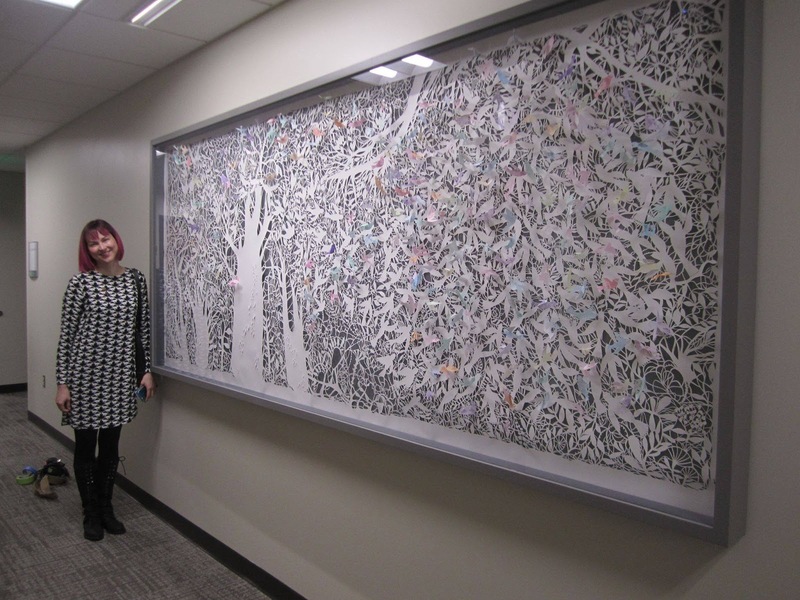 In 2011 she was awarded an Arts Council Individual Artist Grant for her child-friendly art show “Animal ArtVenture,” hosted by the Lansing Art Gallery. 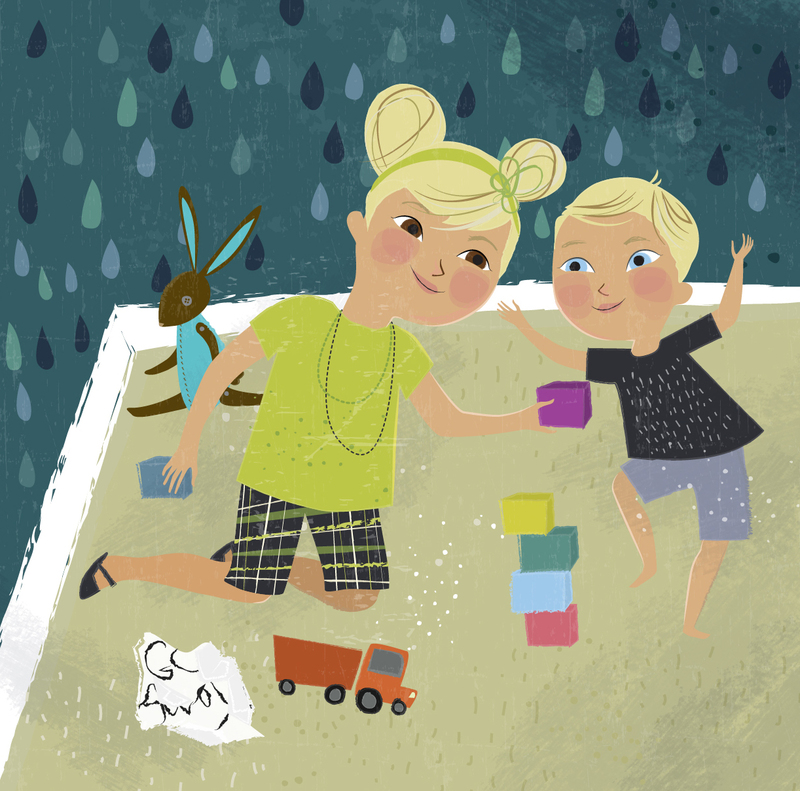 For a complete client list and to view additional illustrations, visit Kate’s website: www.katecosgrove.com. Kate Cosgrove is a 2016 Barbara Deming Grant recipient and a 2011 Individual Artist Grant Recipient, ACGL. Colin Firth movie (Arthur Newman Golf Pro 2013), Holiday House Publishing, Sparrow Hospital, Dawn Ius, Norwood House Press, Pioneer Valley Books, Mennonite Brethren Herald, Gather ‘Round/Brethren Press, First Steps Press, The Verve Pipe, Potter Park Zoo, Duke University, The Little Lutheran, Two Men and a Truck, Chicago Welcomes You, Michigan State University, Accident Fund Insurance Company of America, Clark Hill Law Firm, The Noise, Funky Mama, Greater Lansing Woman magazine. 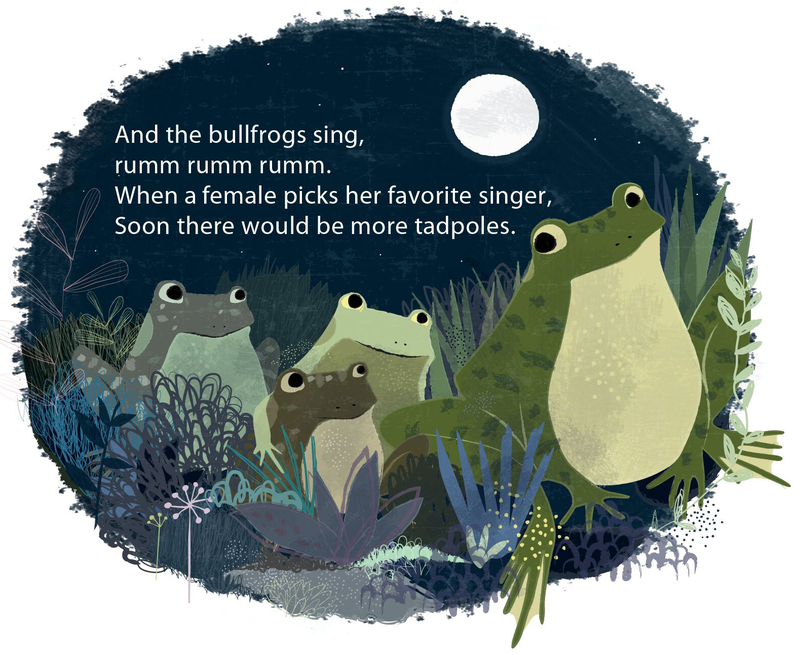 I start by reading the manuscript for THE BULLFROGS SING. Then I created tiny quick thumbnail sketches, sometimes with just a dark marker or pen (lately I really like the Tul black gel pens). I then develop the sketches into more detailed, larger (usually formatted to the size or at least the proportions of the final book) mechanical pencil sketches/drawings. Below are three example of double page spread sketches with the final art. I like mechanical pencils because they smudge in interesting ways, I can get very fine points that I can’t usually get from sharpening a wood pencil or cutting the tips with an art knife, I also like the layers they can create if I keep developing the drawing. Once those are in a finalized form, the publisher receives scans of the drawings and they [publisher] have a few weeks to give me feedback (edits, questions, concern, etc.) If changes are minor I might just correct the sketch or leave notations of any changes directly on the sketch. If the changes are major, I may need to create a full new drawing for the publisher to approve. Once changes are agreed on or the “okay” is given, I import the scanned drawings into Adobe Creative Suite where I redraw a digital version of the art, using colors this time. Personally, I like to use the program Illustrator for my digital illustration, sometimes I use Photoshop, but mostly I’m an Illustrator person. 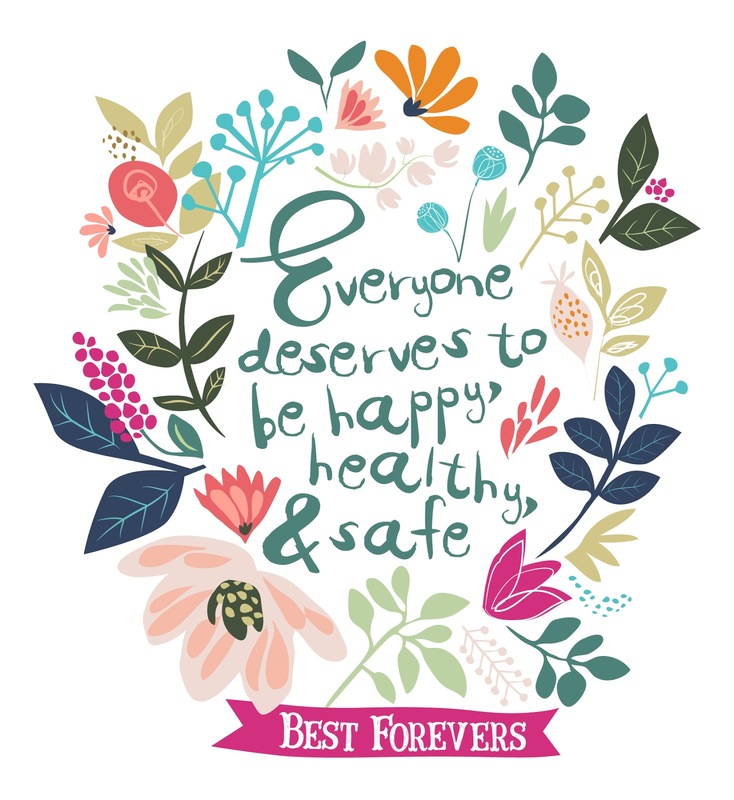 I have a background in vector logo creation and I like that Illustrator gives you a really clean, high resolution image that you can make really large or really small and the quality is not compromised. Occasionally I use scans of fine art painting, crayon, pencil, etc, that I make in my art studio that I’ve imported into my programs for a mixed media “hand drawn” feel. 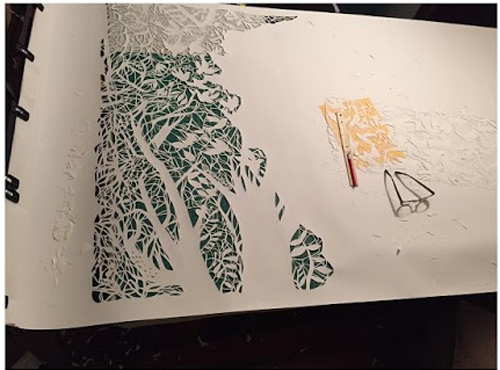 What inspired you to start doing your paper cut illustrations? Are you still doing them? 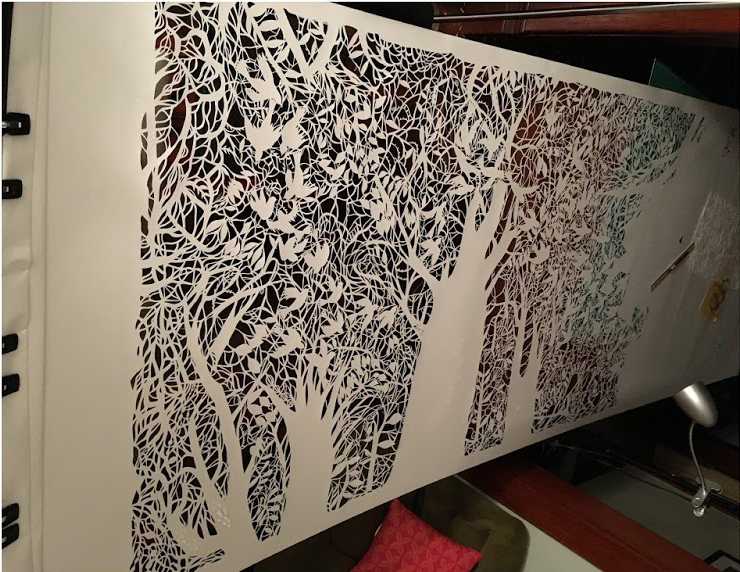 Yes, I am still actively exploring papercut illustration inside and outside of the frame. I’ve been playing around with larger size works and am headed towards taking them to a sculptural level after a metal artist friend taught me some welding tricks. I’ve been drawing probably longer than I’ve been walking. I’ve been a professional artist since college graduation in 2001. To help pay for college, I worked in an office as a “Student Assistant” and my adult coworkers were extremely supportive. 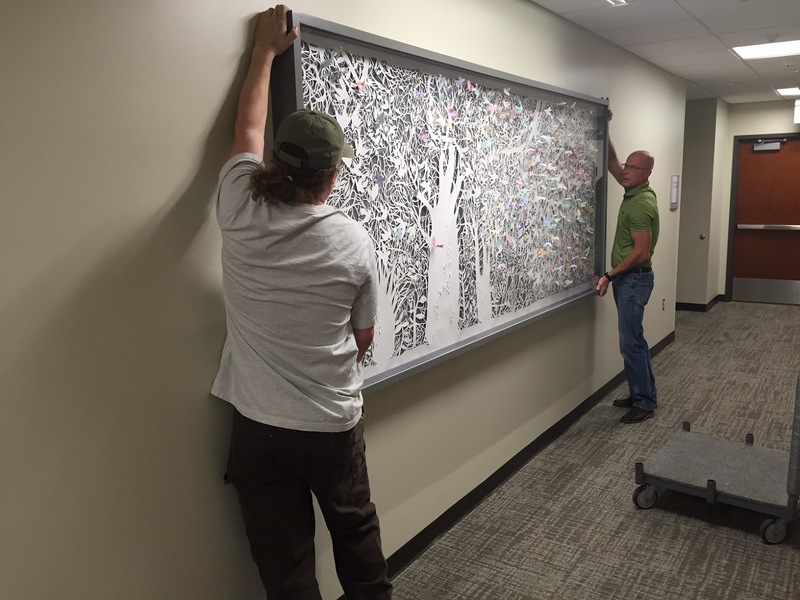 I would draw illustrations and cartoon squares for them that they would post them in their cubicals. Two of them commissioned/purchased paintings from me and another bought a fancy cake and set it under my senior art show flyer to encourage people to attend. And then practically the entire office attended that art exhibition. I think that is when things started to get rolling for me on a professional level. How did you make the choice to attend Michigan State University? I’m a born and raised Michigangster, so it was sort of always in my life plan that I would graduate from MSU.  When I was small, my parents would drive my sister and I through campus and show us all the pretty ivy covered buildings, and take us to The Union for Blue Moon ice cream cones. I’m not sure it was even a choice! What did you study at Michigan State University to get your BFA? Unfortunately MSU didn’t have an illustration program, but I took a LOT of drawing courses and majored in Graphic Design with a concentration in Painting. Ultimately this was the best decision because I not only became well-versed in Fine Art (and Art History) but I also benefitted from the problem solving aspects of design. So I have a good sense of how type and story can work with my images. 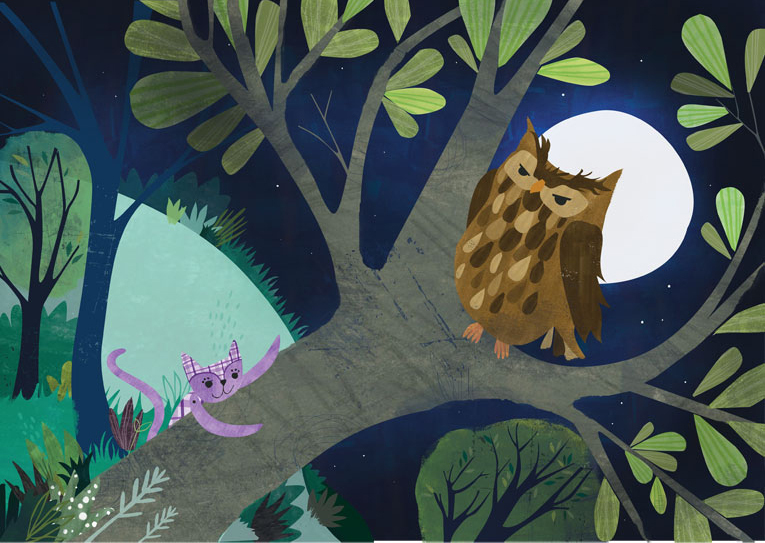 I also became proficient in the digital design programs which helps me with book-making layouts, editing and my ongoing love affair with digital illustration. 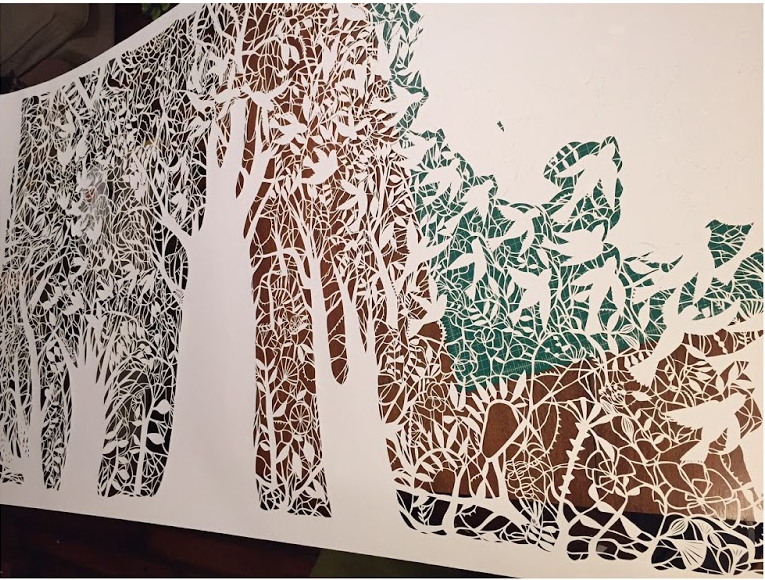 Did MSU help you get illustrating work? They did not, but at the time it wasn’t a program they offered. The mentioned you have exhibited your art in many countries. 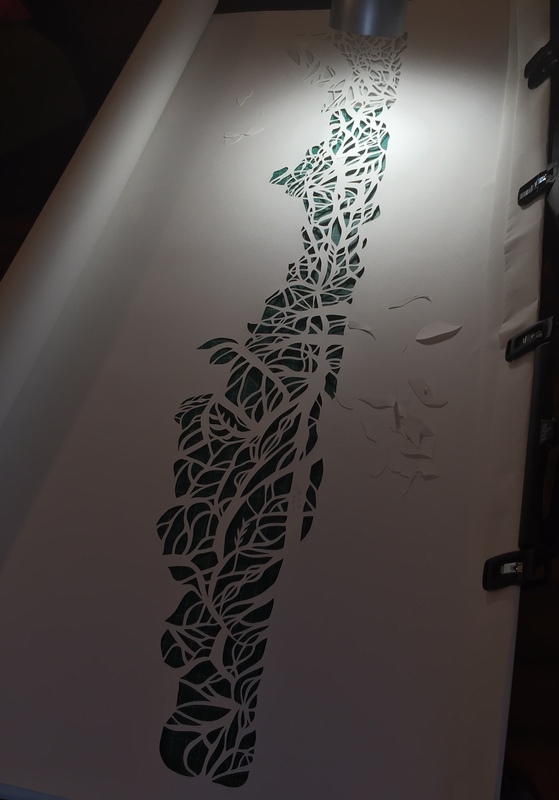 Do you feel doing these exhibits helped you get illustration work? Every step, project, doodle, job, etc. has somehow helped me on my journey to kidlit. 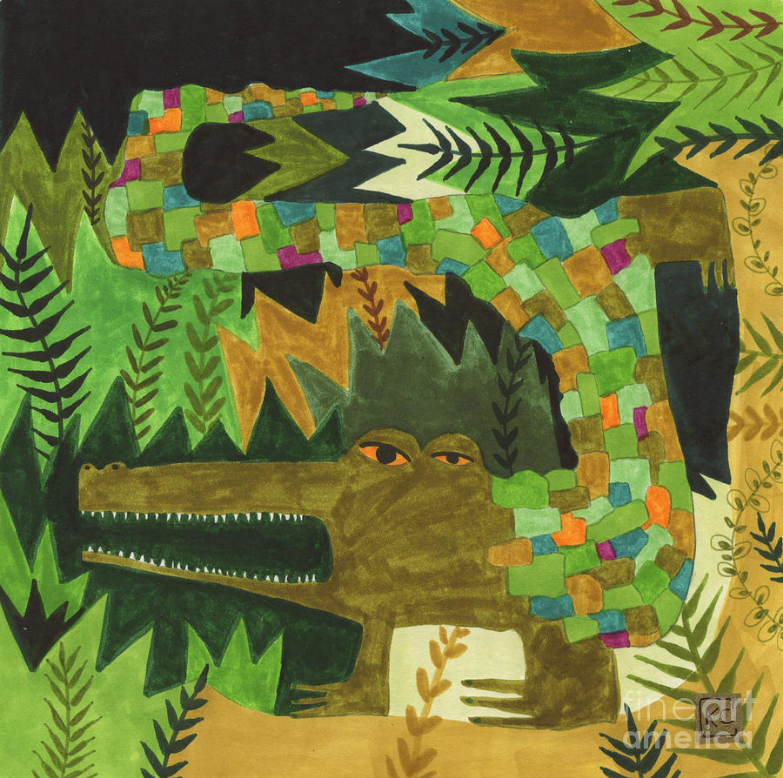 Exhibiting lead me to playing around with “fun art” which morphed into art for kids which morphed into art shows for kids which eventually turned into illustration for kids. 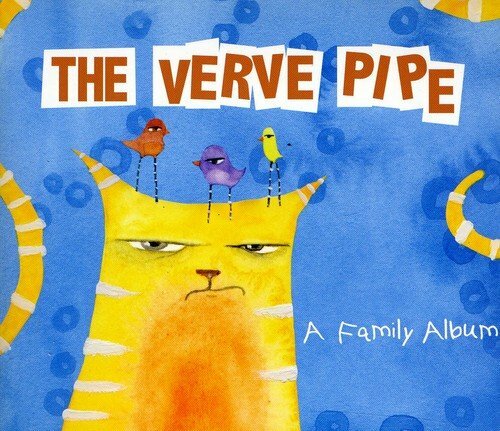 How did you get to do the artwork for The Verve Pipe “A Family Album” cover? I’ve always been a fan of their music. I attended a concert where a belligerent person having a bad day sort of wrecked the show and was knocking into the band. SO I sent the manager a complain-ee email. 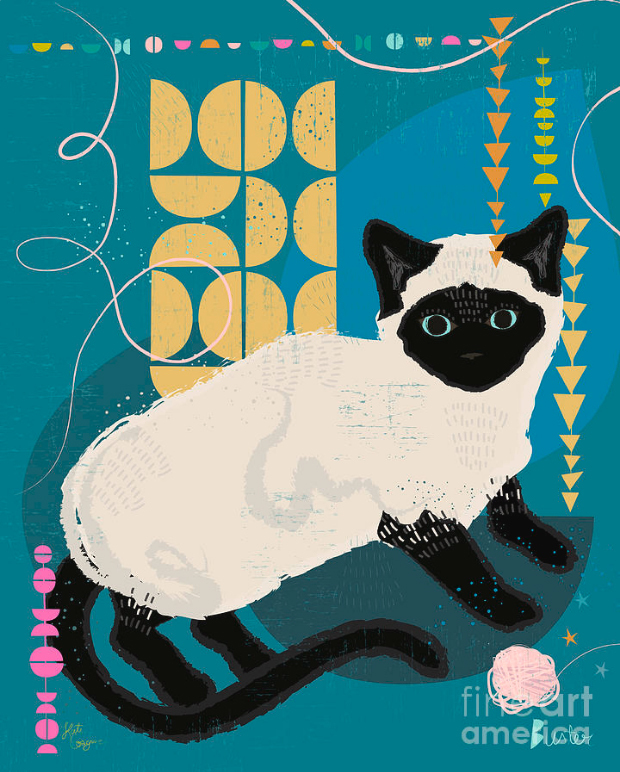 The email had my website link at the bottom and when he forwarded it to the band, they forgave my concert rage and really connected with the illustrations on my site, mainly an annoyed looking orange cat. They were extremely lovely to work with and both of those ‘Family’ albums were a lot of fun. Plus the music is awesome! 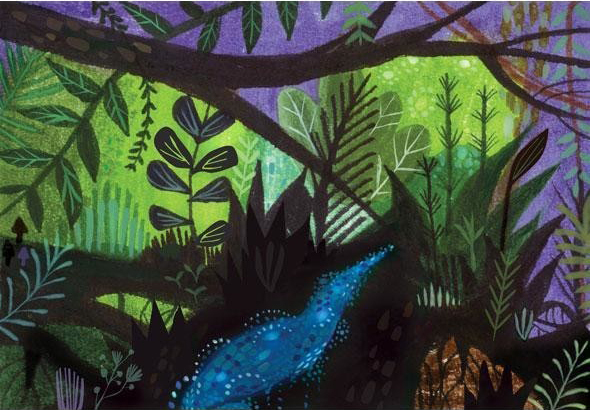 What type of illustrating did you do first starting out? I started out doing sports illustration and logo redrawing at a Cooperstown Hat company. Then I moved onto corporate illustration which made me so bored I wanted to pull out my hair. I started doing as much illustration as I could for different projects – corporate flyers, calendars, etc. Eventually I realized that stock photos of business people depressed me and drawing was my love and I needed to make that my full time job. 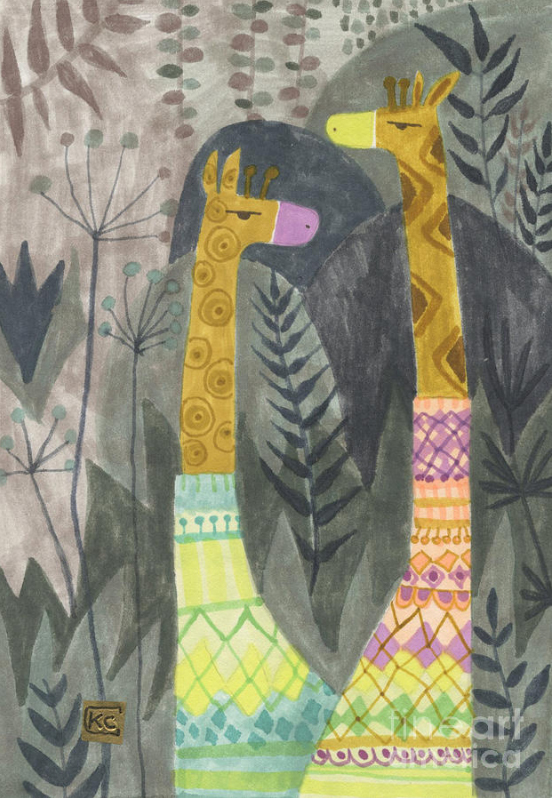 When did you decide that you wanted to illustrate children’s books? 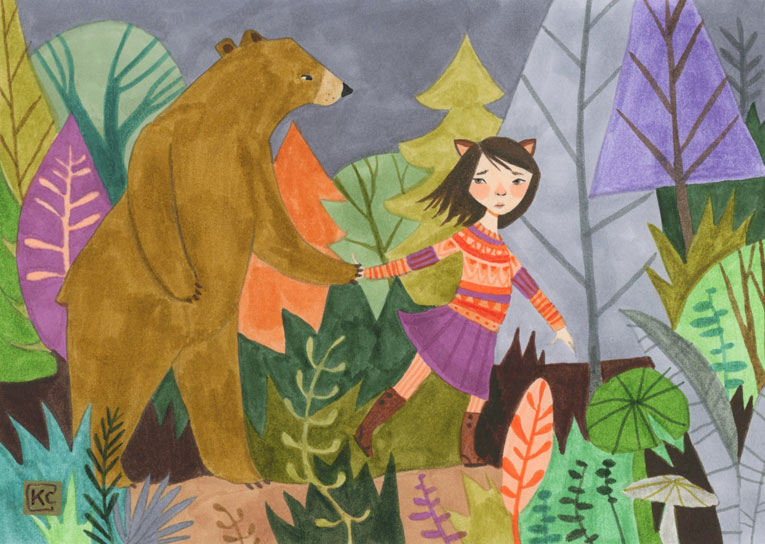 When I was a nine, a funny, energetic, brilliant illustrator came into our classroom during ‘Young Authors Week’ and I knew at that moment that I wanted to make kids books just like she did. Children’s books remain the one item that I have collected and continue to collect. 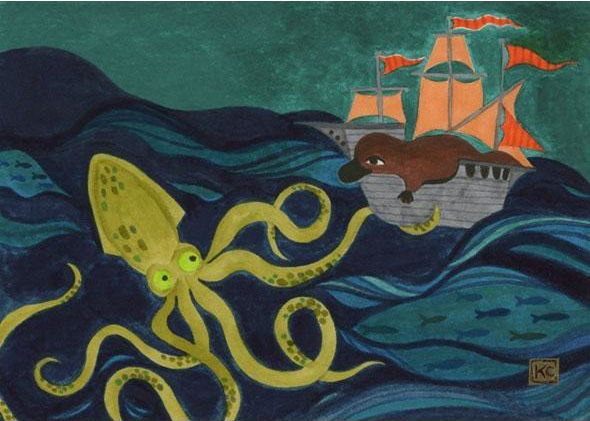 Was Enid Spring your first illustrated book? Was this a self published book? How did you connect with the author? 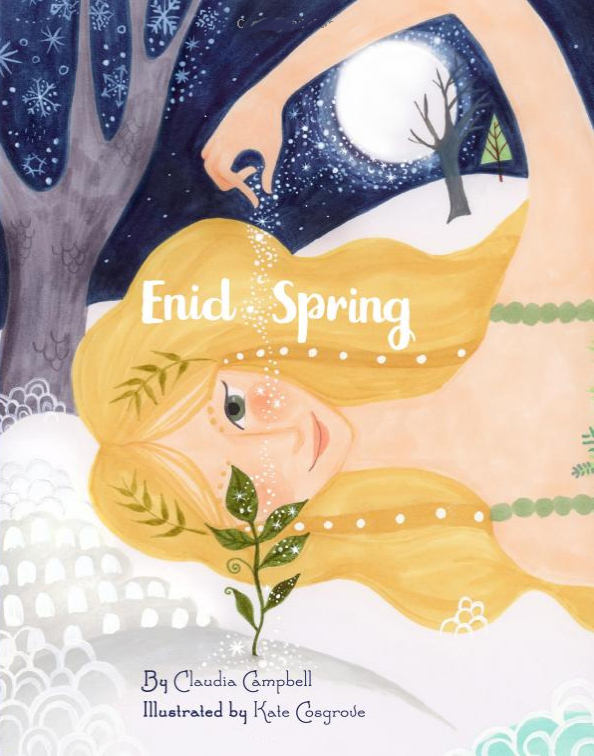 Enid Springs was a contract job for a self-published author. She contacted me through my agent and we put together a project plan for that story. 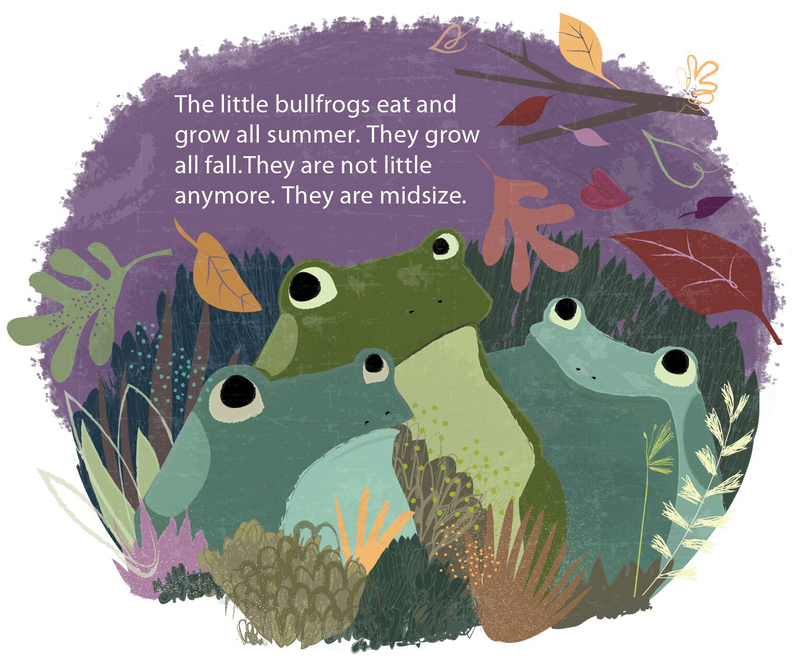 Is And the Bullfrogs Sing your latest illustrated book? Yes, however I’ve worked on a couple contract books for educational publishers like Pioneer Valley Books in between the creation and release of Bullfrogs. So I guess my projects are leapfrogging… Sorry, dad joke! How did you get the contract? Holliday House approached me through my agent Janet DeCarlo. 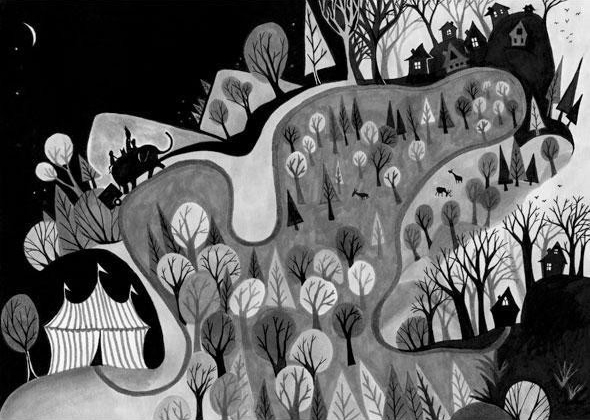 How long did it take you to create all those gorgeous book illustrations? The very nature of the book biz involves a lot of start and stop and requires copious amounts of patience. So start to finish I believe I’ve been connected to this project for about two years. The black and white sketches took a couple months and the final art took about six months with some minor revisions and cover art after that. 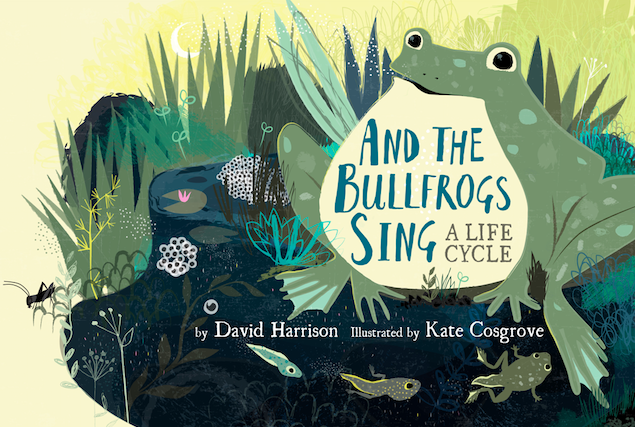 Seven total, but And the Bullfrogs Sing: A Life Cycle is my first/debut traditional publishing experience. Yes. 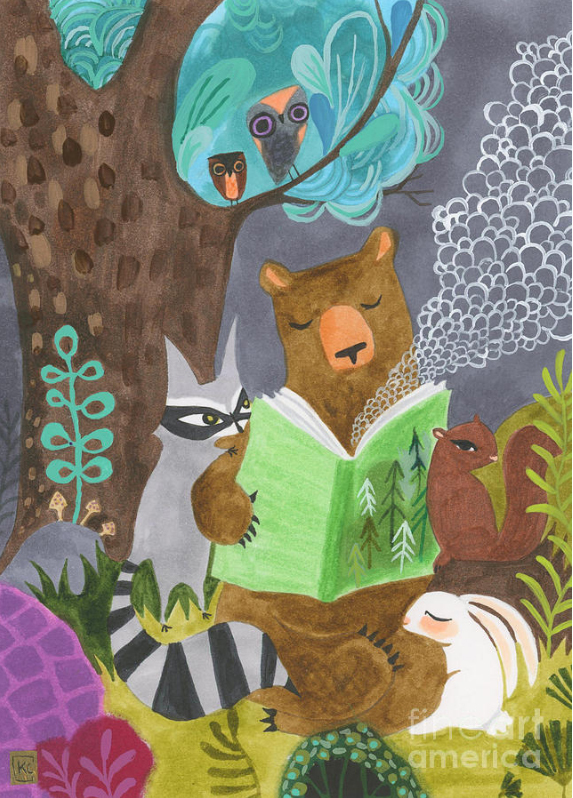 I am very interested in both Picture Books and Middle Grade stories. I also do some comic art and writing that I hope morphs into a graphic novel for Middle Grade readers at some point. 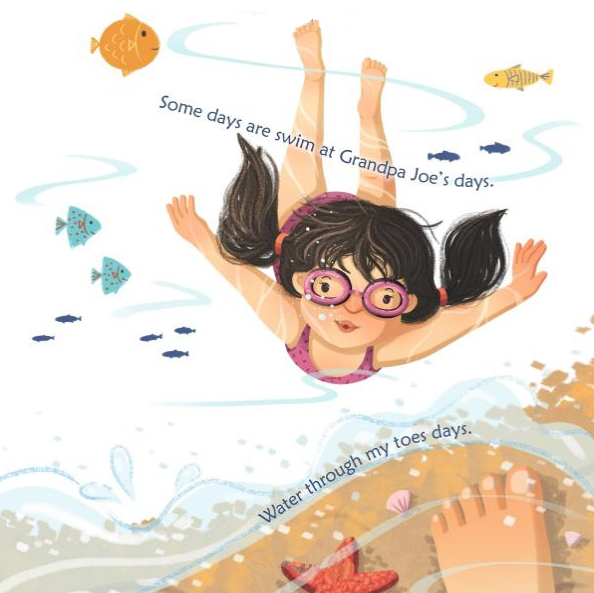 I see you are represented by Janet DeCarlo at Storybook Arts, Inc. How long have you been with her and how did you two connect? I teamed up with Janet and SBAI officially in 2010. In 2009 the world was strangely less digital, so I was researching and mailing out small physical portfolio books that I had printed up through Kodak. It took forever, it was extremely expensive and I was rejected A LOT. Eventually my work reached Janet and she gave me one of the greatest phone calls of my life. But even after the contract ink was dry, it took us a couple years to really find consistent work for me. Again, patience is key! Working with Storybook Arts has been wonderful, Janet is extremely kind and reliable and the most organized human on the planet. She takes all the business pressure off my shoulders so I can focus on the arty storytelling side of things. 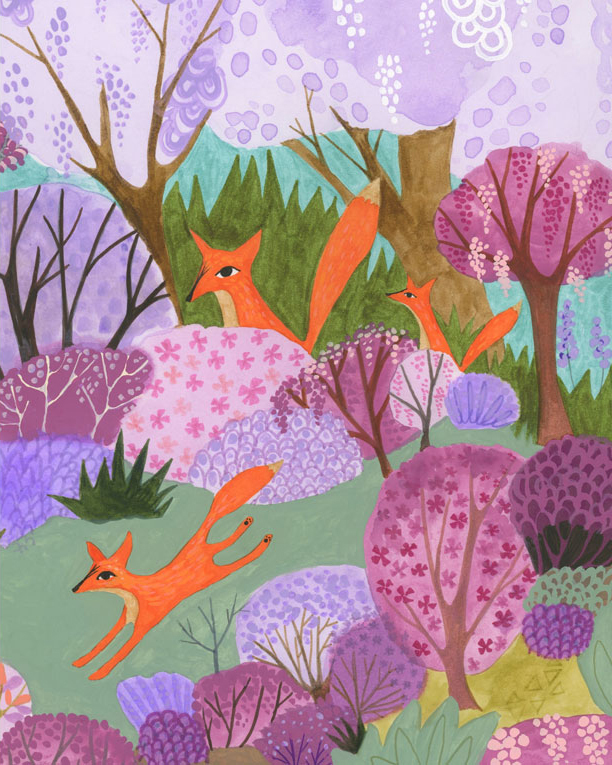 Do you do freelance illustrating full time? 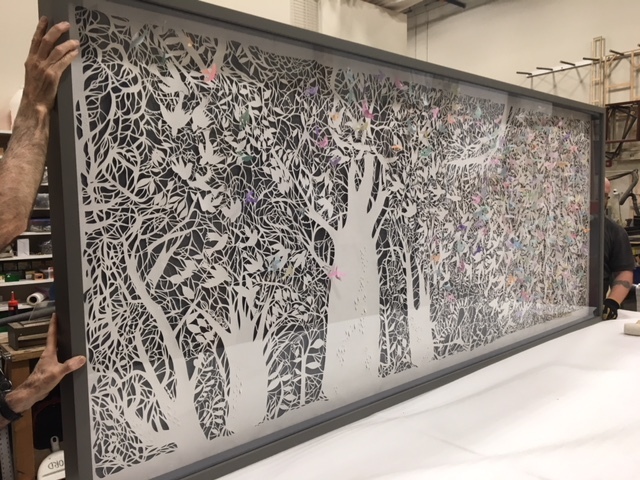 Mostly yes, however I sometimes put together exhibits of fine art (last few years has been papercut illustration) which involves grant writing and installation work. I have not, yet! But am definitely interested in that work. At this point I keep fairly busy, so I would need to really connect with the story and they would also have to go through my agent first. I do prefer working with publishers though, the support and marketing are a more comfortable fit for me. Art History 100000%, I love to look at images from my predecessors of all eras, and learn from their eyes, hearts and color palettes. I also am very interested in Biology, for about seven/eight years I created a lot of illustration work and exhibit signs for my local zoo. 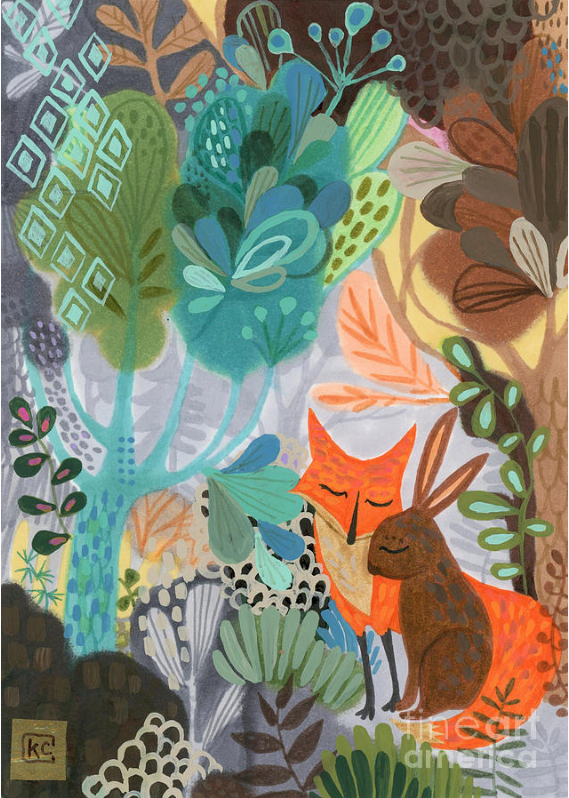 I love plants and animals so very much and I’m definitely influenced by the designs of nature. 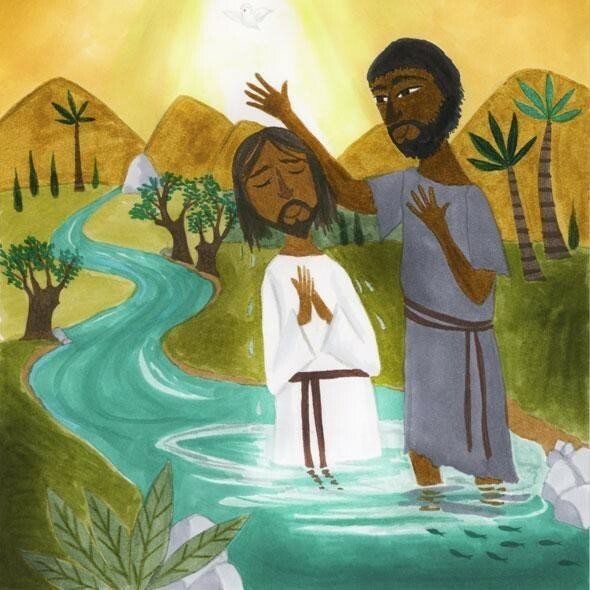 Yes, Pioneer Valley Books, Norwood House Press (I think they are considered an educational publisher – it was a contract style book) I’ve also created some religious education illustrations for a few faith-based publishing houses. Not YET, I’ve been obsessed with Highlights Magazine and even attended a workshop at the Highlights Foundation last year, so I’m coming for them! Yes, this is on my professional wish list. I flip all over the place. Sometimes I think I’m just going to use a mechanical pencil from here on out then I get a crush on color pencils or acrylic paint or papercut knives or digital illustration. 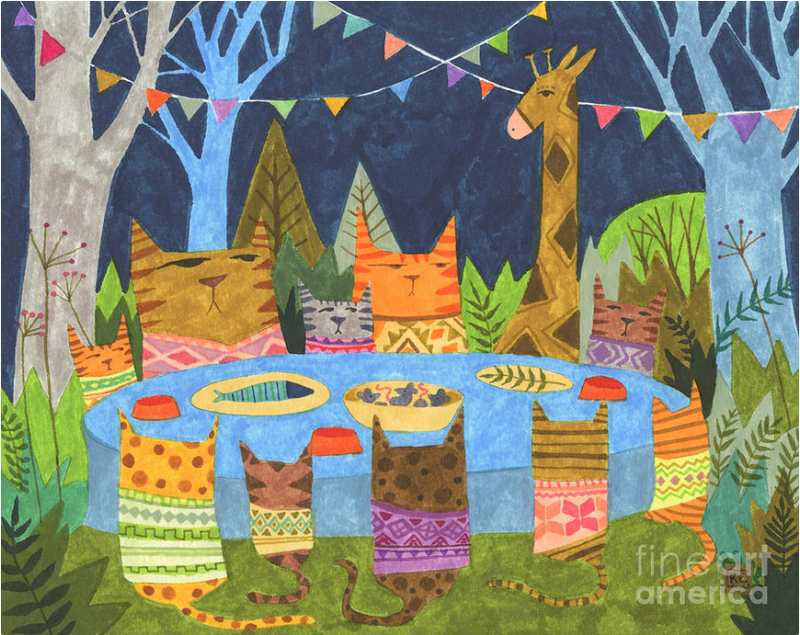 Sometimes I just want to smash them all together in one big mixed media party. I’m a workaholic. I wish I were joking, but I have to tell myself to put the art supply down or the book about the art down or the website ordering the book and art supplies down. The problem is, my work is my love and my hobby, so when I’m not working on something for someone else, I have a lot of my own ideas that I want to tackle. I don’t think I ever take a day off, unless I’m sick and even then… I still do something related to my work. All of it! I research art history, I flip through my collection of books, I check books out of the library, I look up information about artists, I make my husband and daughter pose in different ways so I can photograph and sketch humans. If they are busy I might photograph myself and draw from that. I am a very research-based creative. The Internet is a blessing and sometimes a curse. It makes clients, publishers, agents more accessible and I’m not printing out and snail mailing samples and manuscripts any longer, but it also adds to the pressure that I need to constantly be producing, updating and moving and I worry a little about burn out sometimes. I love the Creative Suite products. Illustrator is my favorite, Photoshop is always helpful and sometimes I use InDesign if I want to see something as a layout (old Graphic Design habit). I do have a Wacom Tablet and I like it, but I don’t use it a ton. I’m more of a mouse drawer. 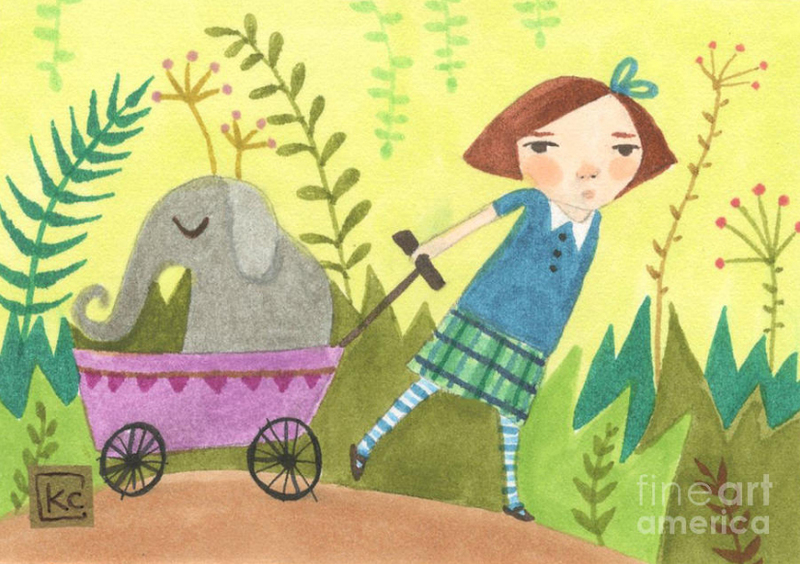 I want to do ALL the kidlit things! 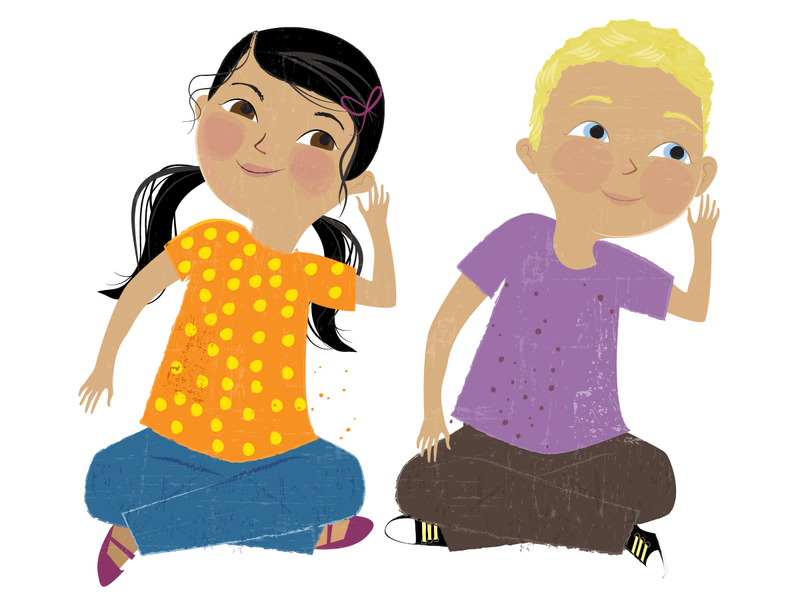 More book illustrating, book writing, more school visits and all the stuff in between. Storytelling in all mediums is my life. 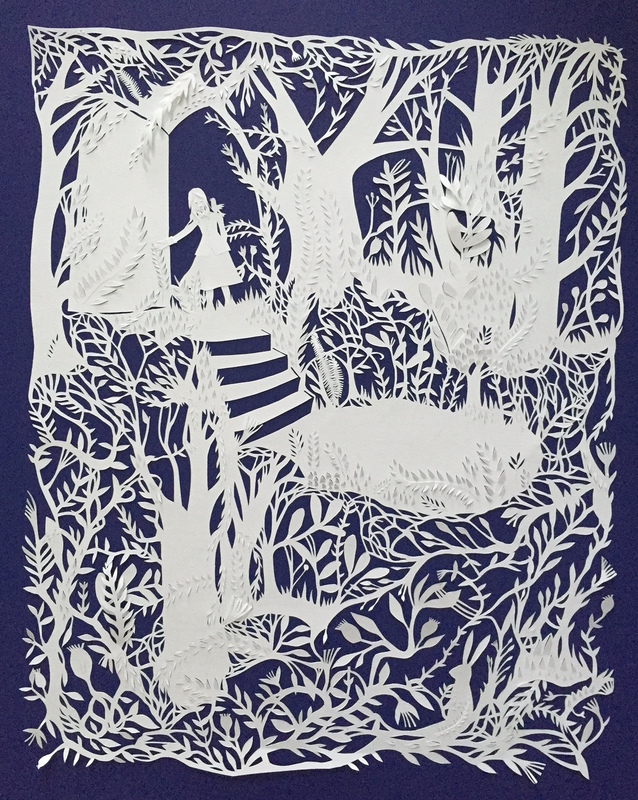 And I’m writing a grant to fund my next papercut illustration exhibition. I just went on a big pen taste-test and ended up really loving the TUL needle point pen. It’s fun for writing and doodling. I get a lot of ideas from just mindless doodling with a solid pen. Set up a fort in your library –the librarians might report you to security, but that’s part of it. Then read every kids book and study every illustration and art book available. And when you’re not reading, looking and doodling, learn to be extremely patient. In my experience, bookmaking is a snail’s race. If you have a minute, please leave a comment for Kate. I am sure she’d love to hear from you and I enjoy reading them, too. AGENT SUSAN HAWK AT UPSTART CROW WITH THE FIRST PAGE CRITIQUES FOR MARCH. Mack opens the door to Reid’s Soda Shop and, except for the jangling bell, I don’t hear a sound. No kids pushing to find a spot on the tiny space that Mr. Reid brags is the best dance floor in Crossroads. “Maybe they had second thoughts ‘bout not electing me another year.” Mack hooks his thumbs through his belt loops. I want to stick my tongue out like when we were kids, [SH2]COMMENT: Maybe something else here? His twinkling eyes don’t really preclude her sticking out her tongue, do they? but his twinkling eyes tell me he’s hiding something. A coin falls in the juke box, a record drops, and Bill Haley belts out my favorite song, “Rock This Joint.” [SH3]COMMENT: I don’t think teens will know this sogn. A couple lines later we get placement in time (1952), so then we know that this is an old tune. But again, then my mind is wandering back to this. What if it’s “A coin falls in the juke box, a record drops, and my favorite song fills the room. Or have this moment follow the info about 1952. “Surprise!” Lola Mae and Josh crawl out from underneath a table in the back. [SH4]COMMENT: Why don’t they yell Surprise when she comes in? This feels a bit awakward – they yell surprise while they’re still under the table? And then they have the awkward moments of crawling out? Lola Mae hauls out a poster that has CONGRATULATIONS, KATE! 4-H CROSSROADS PRESIDENT, 1952 scrawled in big red letters. Other club members pop out from hiding and bombard me with hugs. “So you’re going to be man of the house again,” Stan, my best friend since kindergarten says with his usual goofy expression. “Very funny.” Kind of funny, since I’m a girl. But I don’t laugh. “I gotta go. Thanks for hanging,” I tell him. “Yeah,” I say wishing I knew that to be true. “Okay. See ya tomorrow,” he says as I go inside. Tomorrow I say to myself as I go upstairs to my room and sit on my bed. For now, I just want to turn my brain off. 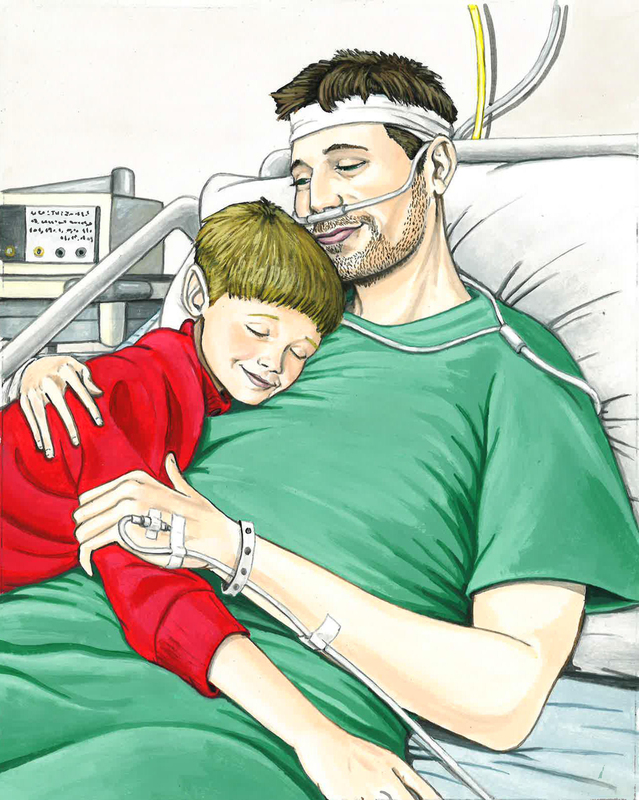 I want to put the war—what could happen to Dad, what could happen to all of us—out of my head. [SH2]: How can you show us this, rather than tell? She wants to do this, but does she? I look up just in time to grab the video game flying at me before it hits me in the chest. “Nice catch.” Dad stands in my bedroom doorway wearing his National Guard uniform, all brown and green camouflage. There’s an American flag on one shoulder and his MP patch on the other. People say I look like him. I got [SH3]: Is there another way to describe this with more verve? Just ticking it off the list isn’t as interesting as it could be. [SH3]: Is there another way to describe this with more verve? Just ticking it off the list isn’t as interesting as it could be. [SH4] COMMENT: It’s at this point on the page that I become more interested in this story. I wonder how this would read if you cut the first part, up to this line. “The chart I made…”, and if you let her use the chart, so we can see her feeling in motion. In other words, cut everything with the friend. We only see him for a couple lines – could he be introduced later? his dark, curly hair (mine’s a little longer and most of the time under a baseball cap). Got his dark eyes too. I’m in pretty good shape from lots of sports. You could say I’m the girl version of my dad. I love that. I’m hardly any version of my mom. My bed creaks when he sits down next to me. In my hands is the new Xbox game we’ve been waiting for. Annie Body was an anybody. And if you asked the sophomores at Civit Heights High, they’d say that she would never be a somebody. [SH1] COMMENT: I wonder if this would have more impact if the line breaks worked differently – like this maybe? Annie Body was just like her name – Anybody. If you asked the sophomotrd st Civil Heights High, they’d say she’d never be Somebody. Just look at the facts. She didn’t have a bestie. Only a few likes on her selfies. Her posts were always thread killers. Her nickname…etc. Look at the facts: she didn’t have a bestie, only got a couple of likes on her selfies, and her posts were always thread killers. Her nickname (Anti-Body) was well deserved, because the only viral thing about her was the ability to immunize the student body from fun. The way she shrugged and shrank around the school, you’d think she didn’t care. But the truth was, Annie Body chose to be as background as blank wallpaper. [SH2] COMMENT: If so, why does she have a social media presence? Do these things conflict? It was so much easier to pretend to be indifferent, than to admit to others’ indifference of her. Only she knew that she secretly slogged through school hoping to be noticed, for any reason, good or bad. And two months into fall semester, it finally happened. Sitting by herself in a cafeteria cubby,[SH3] COMMENT: What’s a cafeteria cubby? slurping on the last dregs of chocolate milk, Annie’s notice came without warning. Thwappp! A slap––more of a punch really––that answered Annie’s prayers solid in the face. It’s force spun her from her seat and sprawled her out on the linoleum floor. [SH4]: This is a small point, but if she’s in a cubby – which I’m imagining as a booth – wouldn’t she kind of bounce into the back of the booth and sor of slump there (rather than falling all the way to the floo)? I ask as a way to remind you to think about your blocking. You don’t want someone falling out of your text on page one because they can’t picture the action. Her cheek burned, skin stung, and head whomped with shock. In a fog of confusion, she weakly [SH5] COMMENT: Weakly repeated below.Don’t underestimate the power of reading out loud, or better yet, having someone read it out loud to you. Your ear will catch this kind of thing. folded her knees beneath her and straightened her dress, weakly organizing herself to composure before looking up. Annie backed onto her hands. Could it be? Had the student body president really just hit her? “I said smile.” Midge commanded. Reflexively, and with deference to popularity, Annie smiled as she was told. But not for, Midge. No, for herself. A somebody had at last noticed the anybody. “Yes, ma’am.” I grabbed the wet sheet corner and sniffed the unmistakable scent of Clorox. Boy howdy, it was easier to live in my daydreams sometimes. Mother never understood that. She was all business and in charge. [SH2] COIMMENT: This is a tell. How can you show us this, and her feelings about it, in action? Don’t let your character pull out of the scene, not here on the first page, and start talking to us. Stay in the moment. 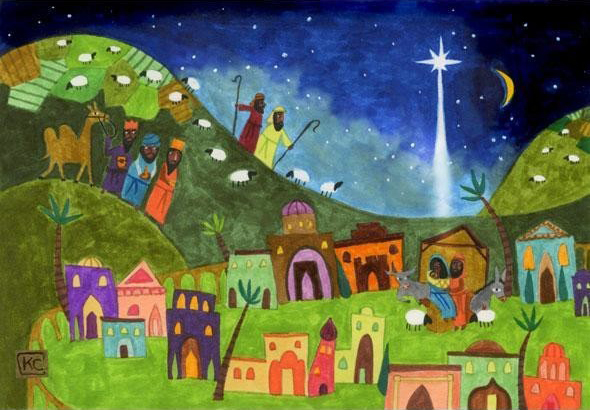 After ten years, I knew that to be gospel true. I swiped away a sweat mustache with the back of my free hand, then licked the salt from my lips. Lordy mordy. Mother thinks August and chores go together like bread and mayonnaise. She would have a hissy-fit for sure if I let go of the sheet. Good grief, didn’t I know that. [SH3] COMMENTS: I like your voice, but here it’s stating to feel overdone, at least to my ear. Don’t think we need the last line, especially. Perspiration dripped onto the lenses of my glasses. Do they make glasses with windshield wipers? I pushed the mother-of-pearl frames up for the umpteenth time and wished I’d pulled my hair into a ponytail this morning. It hung thick around my neck and shoulders like the Cowardly Lion’s mane in The Wizard of Oz. I slouched and tracked a blue jay. It landed on top of Daddy’s fig bush and called out in protest to the merciless sun. Tarnation, I guess Mr. Blue Jay doesn’t like the heat any more than I do, but he only sits there. No chores for him, not like me. [SH4] COMMENT: These three paragraphs feel repetitive – making the same points about it being hot and boring. You can tighten here and get us to what’s going on for your character sooner. The sweet scent of honeysuckle drifted towards me from branches draped over the fence behind the clothesline. Daddy’ll be home in a few hours, I thought, and pressed my lips together. That uneasy-butterfly-feeling began in the pit of my stomach as it did every day around 5:30. [SH5] Comment: Now I’m interested. Susan, thank you so much for sharing your time and expertise with us. We can all learn from your comments. Keep in touch and make sure you let us know when good things happen. 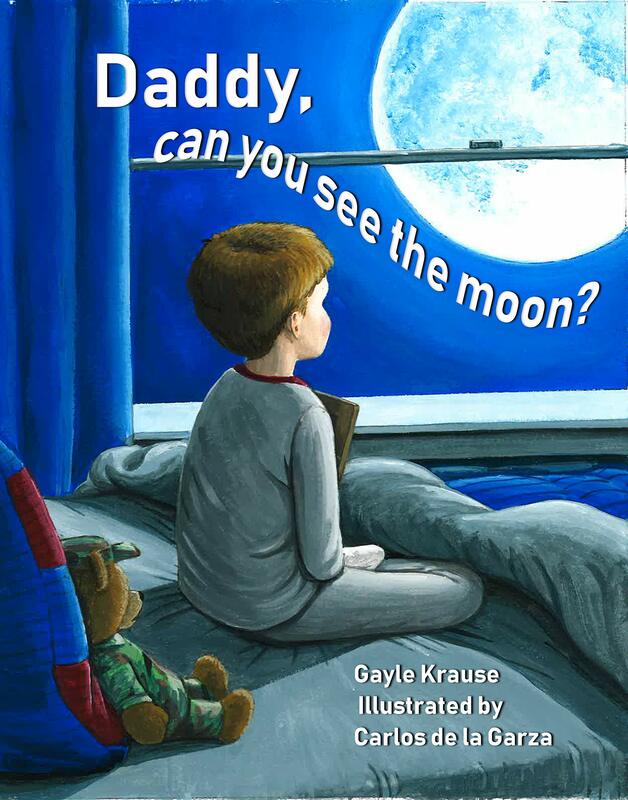 Author Gayle Krause has a new picture book titled, DADDY, CAN YOU SEE THE MOON? It hits book shelves on April 9th. Gayle has agreed to share a book with one lucky winner. All you have to do to get in the running is to leave a comment. Reblog, tweet, or talk about it on Facebook with a link and you will get additional chances to win. Just let me know the other things you do to share the good news, so I can put in the right amount of tickets in my basket for you. Sharing on Facebook, Twitter, reblogging really helps spread the word for a new book. Thanks for helping Gayle! A former Early Childhood Educator, I taught Children’s Literature to prospective teachers as part of their training program for over thirty years. I also directed a Laboratory Pre-K, affiliated with my teaching course, in Goshen, NY. 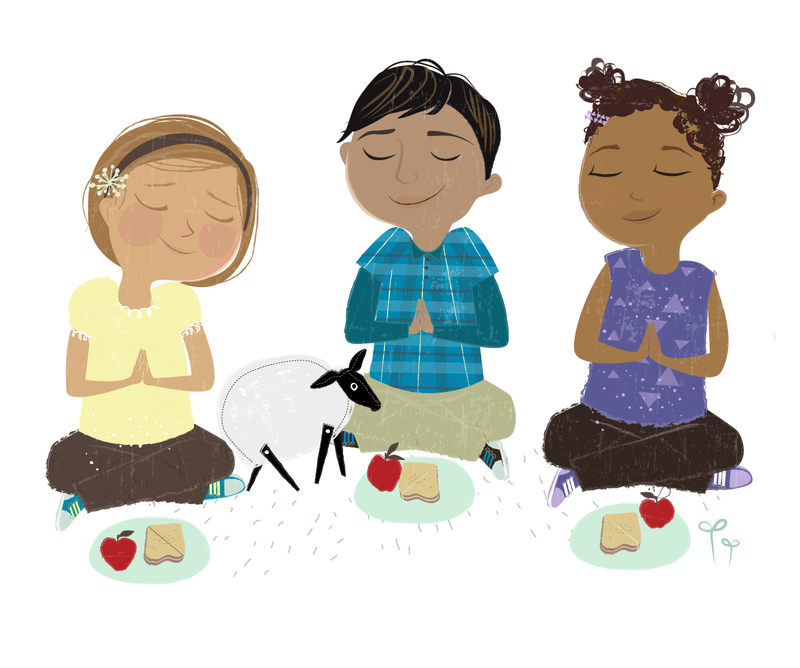 It was there, as I sat on the floor of the nursery school, reading countless picture books to the preschoolers, or acting out fairytales as creative dramatic presentations that I became uniquely attuned to the young child’s mind. These precious little guys struggle to make sense of the world around them, especially the adult world of their parents. Emotional situations like divorce and deployment affect these children in a way that most adults cannot see. It was one particular little boy that was having a very difficult time accepting the time frame of his dad’s deployment that came back to me years later and the end result is DADDY, CAN YOU SEE THE MOON? It’s six full moons since Daddy’s gone, but Mom and me, we soldier on. Though a serious and challenging topic, I chose to write it in rhyme so that it has a lighter feel. 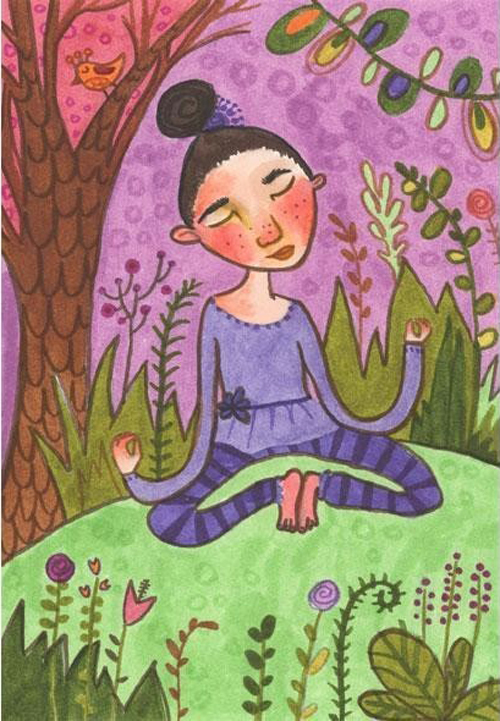 And the exquisite art of Carlos de la Garza brings my words to life. 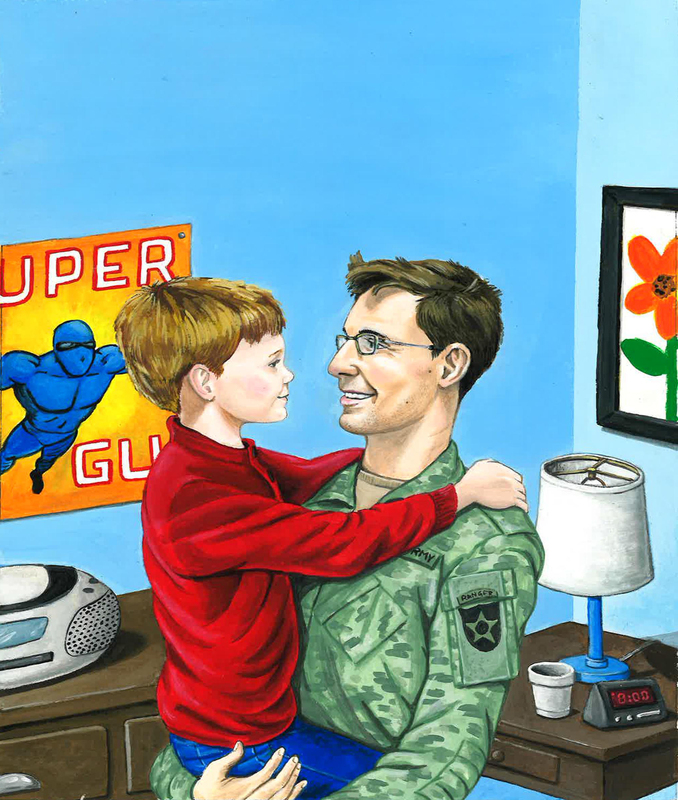 His realistic portrayal of the characters and the vibrant color schemes he chose, make this a wonderful book to be used in classrooms, as a family reading, and especially as a message for the young military child. 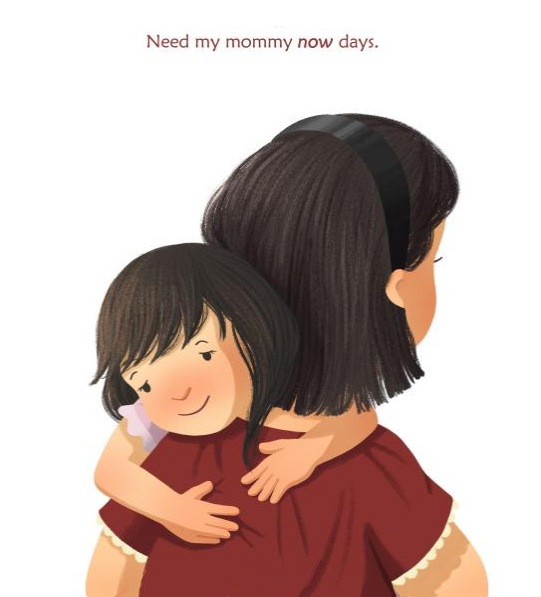 In this book, they can see that they’re not alone in this incredible, perplexing moment when Mom or Dad has to leave the family and the child doesn’t understand the difference between one week, one month, or one year. 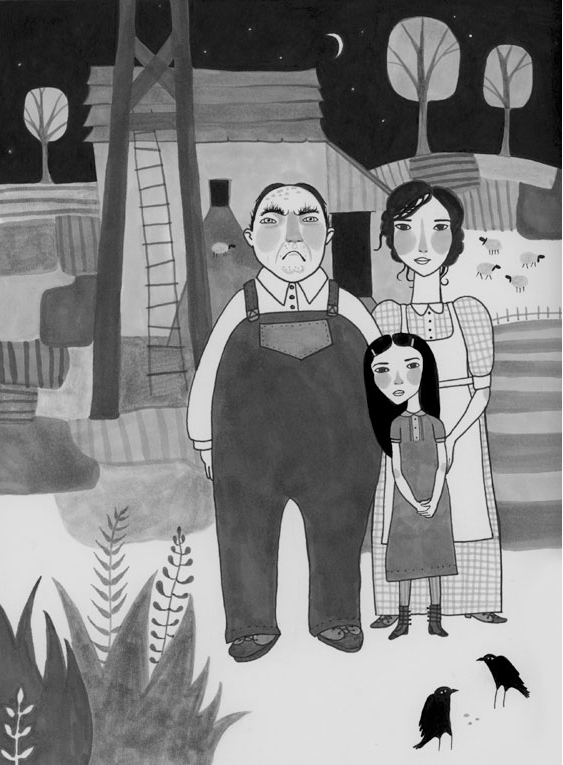 When I sent the manuscript to Callie Metler-Smith she fell in love with it recognizing its importance in the world of children’s books. 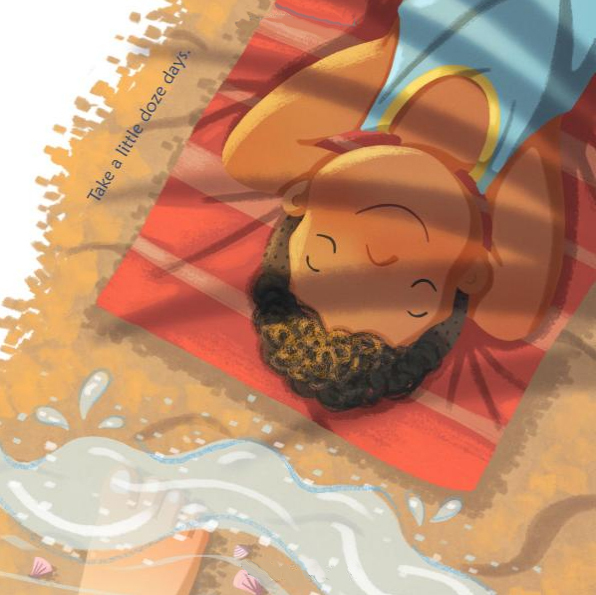 Because of its challenging matter, it took almost a year to find an illustrator who could portray the young boy’s story with a delicate clarity. 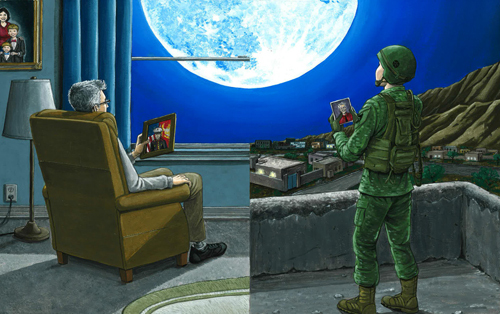 Carlos worked on the illustrations from June of 2017 to August of 2108 and though we had first scheduled it to be released for Veteran’s Day, we realized, once we saw the beautiful illustrations, that the story is about the military child, not the parent soldier. So we chose April 9, 2019, as the release date, perfect, because April is recognized as The Month of the Military Child. Because I believe so strongly in reaching children where their understanding lies, and the military child has an unusual burden to carry as they wait for their parent to return, I am donating 10% of all royalties to a military family organization that helps deployed military personnel to reconnect with their families in fun-filled activities. Thank you Gayle for sharing you book and its’ journey with us. I looks like a much needed book in the market. Good Luck! March is waving goodbye. Spring is here. 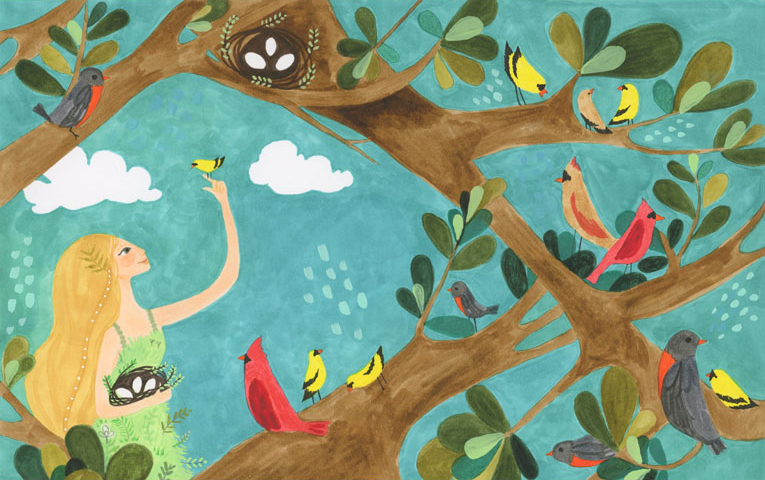 Hope this illustration by Susan Miller inspires you to get outside and be creative. 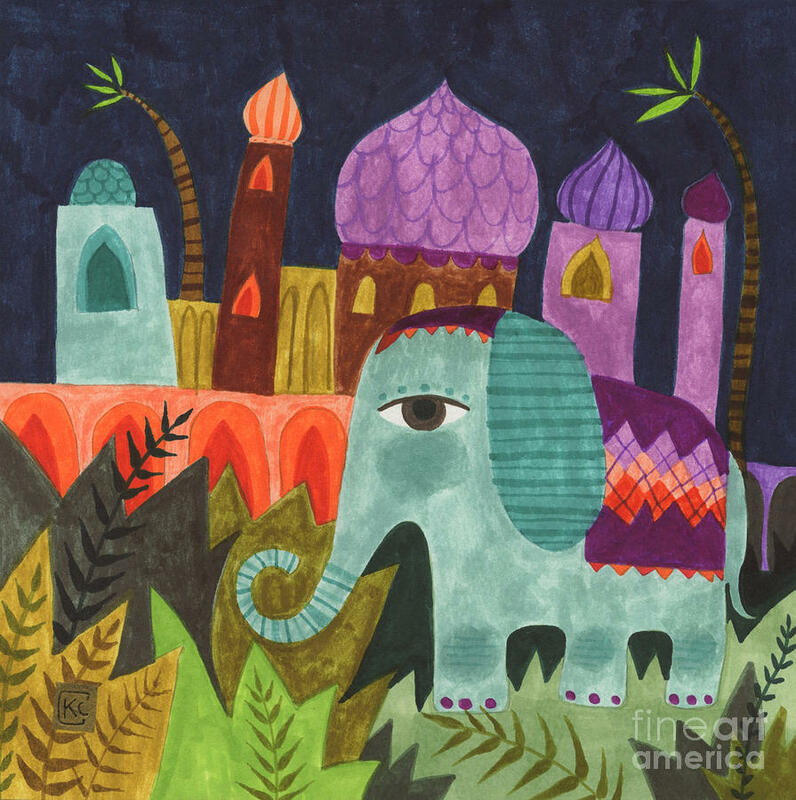 Susan was featured on Illustrator Saturday on August 25th 2018. Here is a very fine MFA term we throw around in the program: objective correlative. Sound fancy? Well, it is. It is an advanced-level literary technique that helps deepen the emotion of your story and tie its elements together. Well, okay, what is it, then? How does it work? Objective correlative is the technique of using objects, characters and elements of setting to create an emotional impact on the reader. Think of t as a more sophisticated version of “show, do ‘t tell.” Showing not telling of course means that instead of hammering the reader over the head with information — for example, Leyla was a moody, troubled, irritable child — you show the reader what’s what by simply having Leyla pout and roll her eyes all over the page. Objective correlative though takes the business of “showing” to a whole another level. This technique uses all sorts of details around the character to create a complete emotional picture. For example, say Leyla is feeling frustrated. So maybe the author shows how out of balance her world feels by having her stuck in a passenger seat on the bus, where the backs of all the other chairs are reclined, but hers is stuck so rigidly upright, it’s almost perpendicular. And maybe, to make things even worse, her tooth is loose and she keeps touching it with the tip of her tongue, and all the while she is seething at the mismatched shoelaces of the passenger sitting next to her. Every single one of the above-mentioned details help set a picture of frustration in the reader’s mind. Everything seems out of alignment. Anyone would be antsy and upset. Before you know it, the reader will be seething right along with Leyla! 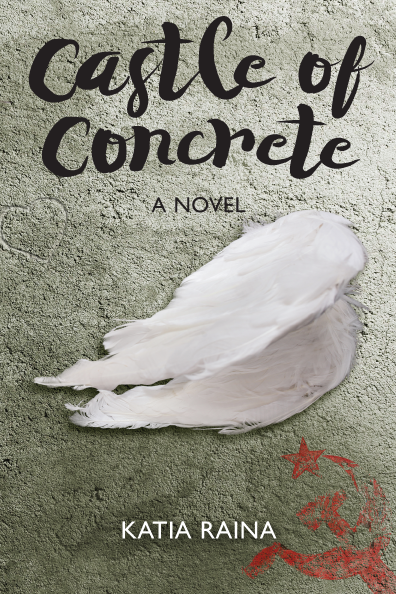 In my debut novel Castle of Concrete, a novel set in the last year of Communist Russia, where Sonya, a shy daughter of a fierce Jewish dissident reunites with her mother in Moscow to start a New Life and falls in love with a boy who may be anti-Semitic. Little seems out of order in her world, when she takes a first walk with him and tells him stories. In the below scene, through very specific setting details, I worked to create a sense of fluidity, movement, possibility and connection. I also showed how Sonya feels her past having led her to this moment. Time circles with us—past, present and future—as we pass along an asphalt path around a wrinkly pond, in and out of iron gates framed by diamond-shaped ornaments, through a yard with a rusty merry-go-round. Oaks, maples, poplars, skinny Russian birches—we weave in between their trunks, swimming in the sea of green. I tell him how Mama floated from one town to the next, trying to get this job, or get into that university. Later in the story, Sonya is excited to show this incredible boy her new life and brings him over to her apartment, only to find her parents fighting. The details in the scene below add up to a “formula” for disillusionment and disappointment. New Life isn’t as perfect as Sonya desperately wants it to be, and in this scene there is no escaping that reality. I turn the giant key in our apartment’s door. An acid smell of burnt potatoes bursts into my nostrils. My parents’ muffled voices reach us from the closed door of the living room. Ruslan puts my backpack down in the hall, keeping his own on. I clutch his arm and lead him swiftly through the hallway, maneuvering around cardboard boxes filled with Mama’s papers, hoping he doesn’t notice the tangle of wires hanging by the door, green paint peeling off the radiator, of that little corner just near the armoire, where the super-fashionable relief wallpaper is peeling a bit. The sight of a closed living room door brings us to a halt. “Mama. Papa? I—” “Sh-sh-sh.” Ruslan pulls on my arm, suddenly. The disillusionment continues a few chapters later, as Sonya fights with her beloved dream of a mother for the first time. The walls in our kitchen are deep red. When I first got here I couldn’t get over the hipness of it. Timid, ordinary people wrap their kitchens in soft-color wallpaper, or paint it some kind of beige. Not here, I thought, not in the home of free spirits. But tonight—or is it already morning?—I think of this red as the color of blood, the color of communism, the most hateful color. Sitting here in the surreal hour of night, I resent the clown masks staring at me from the kitchen wall. With a fork, I push around the now-cold pelmeni on a plate before me. I would savor their soft dough, their neat roundness, their meaty middle, especially after twenty-five hours of Yom Kippur fasting. If I didn’t have to sit there and watch a brave woman I have idolized my whole life turn mundane and weary. As Sonya’s journey often mirrors the journey of her country, this works on an additional level of reflecting Russia’s own disappointment about Communism, represented here by the color red. Now, go try it with your own work in progress. Think of an overarching emotion you want to portray in your next scene. Now look around. What are some details that you can use to make this emotion come alive for your reader? What is your “formula” going to be? Katia, thank you for sharing your time and expertise with this article about “Objective Correlative.” I look forward to reading next months article from you. Agent Alexandra Levick Writers House, LLC. 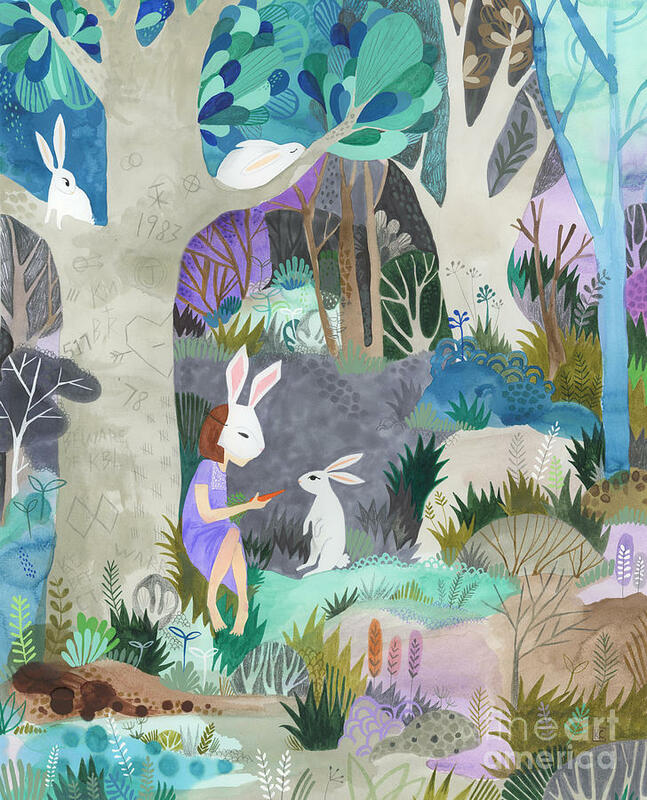 Picture book author-illustrators, a wide range of middle grade and YA, and more speculative-leaning or genre-bent upmarket adult works. I’m committed to working with writers from diverse backgrounds and am looking to put forth a list of outstanding creators who will be able to provide windows, mirrors, and sliding glass doors (thank you, Dr. Rudine Sims Bishop) into all kinds of experiences. I’m particularly looking for own-voices stories about historically underrepresented characters, identities, and cultures. 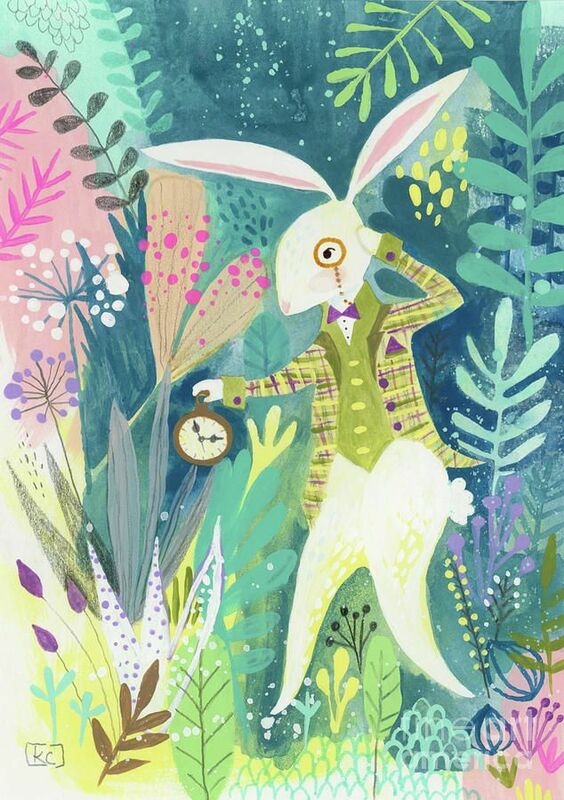 Please note, a touch of whimsy is always, alwayswelcome. So please, send your horizon-expanding work on over to me. I can’t wait to give it a read. Favorite sub-genres: Contemporary YA, Feminism, Gothic Horror, Historical Fantasy, Literary Middle Grade, Literary Noir, Literary YA, Middle Grade Horror, Narrative Nonfiction, Social Issues, Speculative Fiction, Speculative Middle Grade, Upmarket YA, YA horror. Please send your personalized query letter along with your first ten pages (pasted into the body of the email) to me at alevick (at) writershouse.com. Bonus points if you can tell me a bit about the intention behind your work. Please note: you may not query more than one agent within Writers House at a given time. 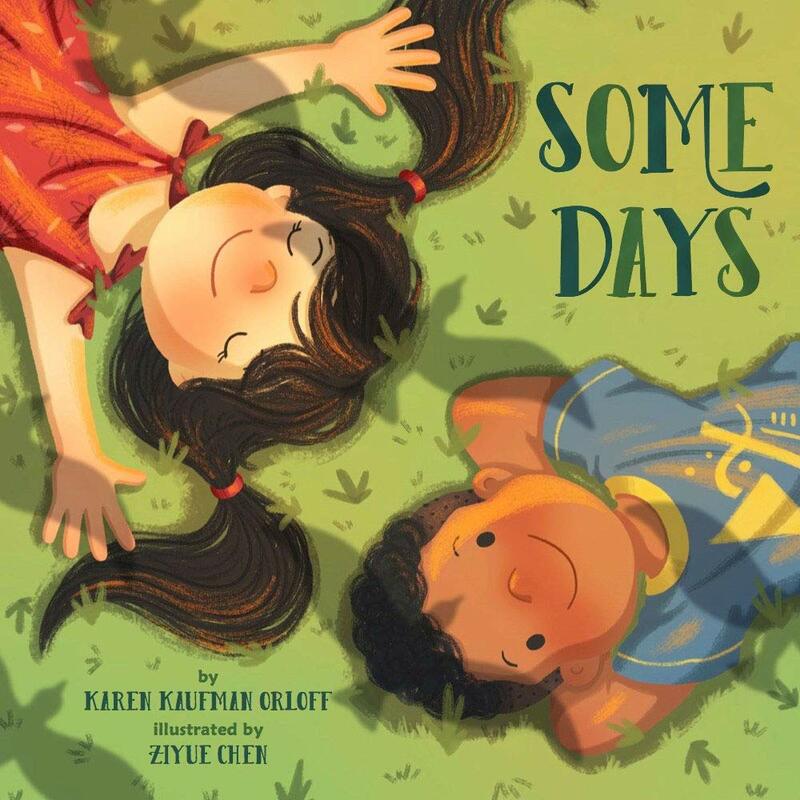 Author Karen Kaufman Orloft has a new picture book titled, SOME DAYS. Karen has agreed to share a book with one lucky winner. All you have to do to get in the running is to leave a comment. Reblog, tweet, or talk about it on Facebook with a link and you will get additional chances to win. Just let me know the other things you do to share the good news, so I can put in the right amount of tickets in my basket for you. Sharing on Facebook, Twitter, reblogging really helps spread the word for a new book. Thanks for helping Karen! 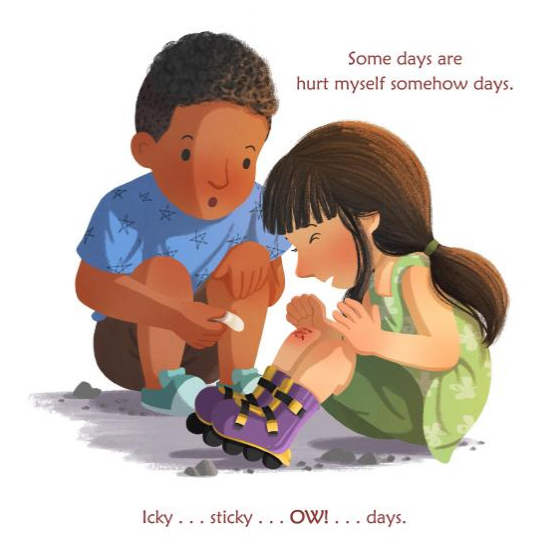 Come along and follow a year in the life of a young boy and girl as they discover their many different and ever-changing emotions, including joy, fear, anger, jealousy, excitement, pride, disappointment, loneliness, and contentment. 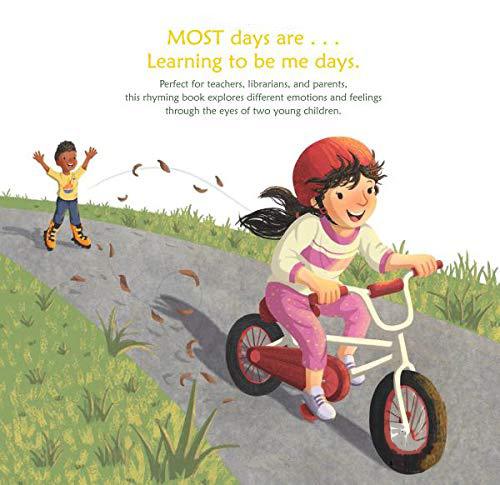 As children read about “angels in the snow days” as well as “need my mommy now days,” they’ll begin to understand how to cope with both positive and negative feelings. 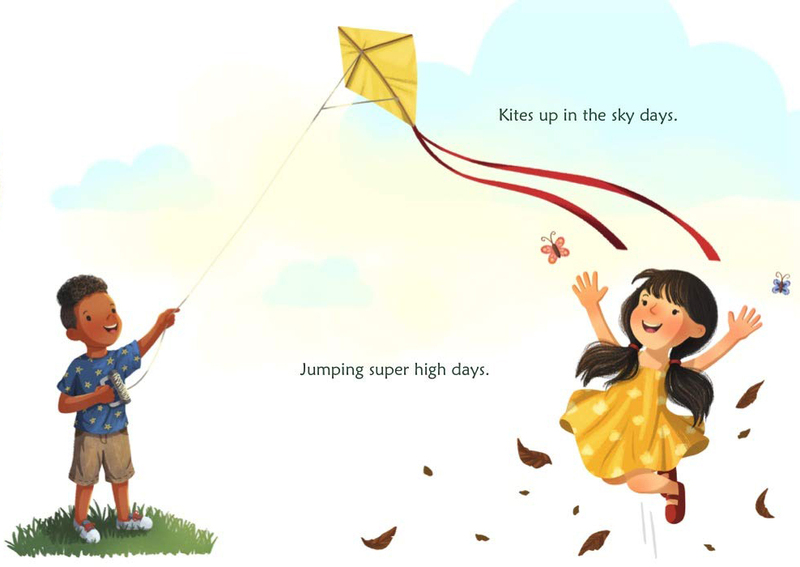 The opening lines for “Some Days” – “Some days are chocolate pudding pie days, kites up in the sky days, jumping super high days” – came to me oneday for no particular reason and stayed in my head for weeks! I loved the rhythm of the words but wasn’t sure what to do with them, so I typed them into my “idea” file on my computer, where I have a combination of stray thoughts and half-written stories. great. The idea would be that you have to take the good with the bad, go with the flow, learn to deal with those not-so-good days. days? Should I try to make it seasonal? Was I picturing one child or maybe friends or a brother and a sister? As with all my early drafts, I showed it to my writer pals for help, and got lots of suggestions. Of course, the first draft turned into many drafts and still I wasn’t sure if it was right. she’d want to see yet another submission from me. When I sent that in to Meredith, I got a note back from her right away. “You nailed it!” That totally made my day. Singapore to do the art, I knew it would be a beautiful book. 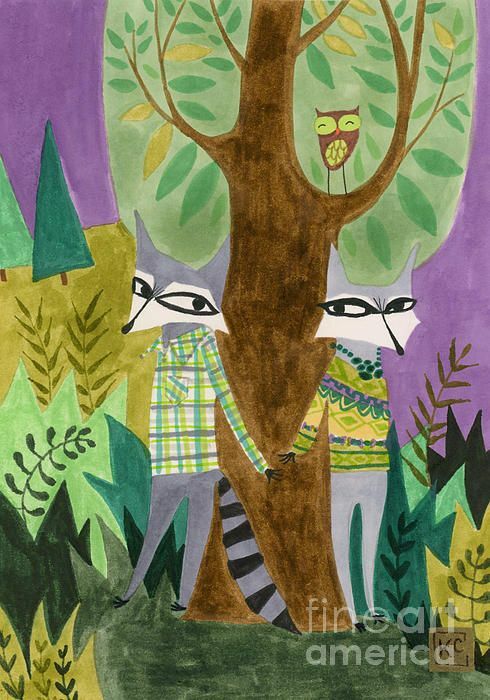 from Flashlight Press. 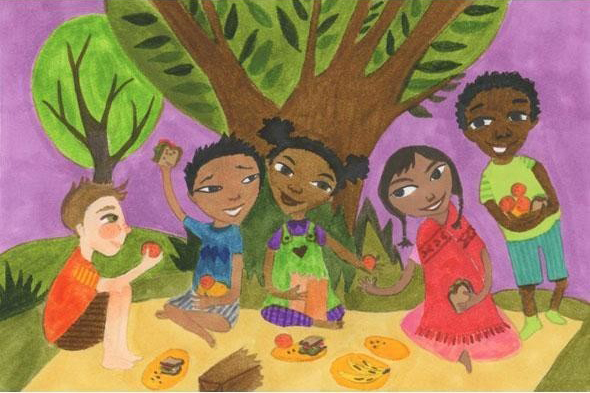 Karen is a member of SCBWI and co-founder of CWHV (Children’s Writers of the Hudson Valley). 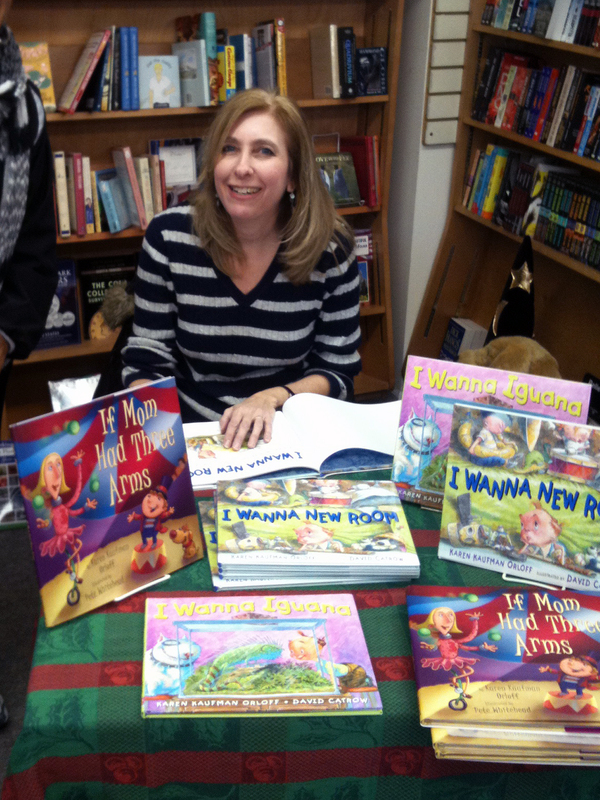 Karen enjoys author visits to schools and lives in New York’s Hudson Valley with her husband and family. Karen, thank you for sharing your book and its’ journey with us. Looks like a really fun book with nice illustrations. I bet it will be big hit with kids and their parents. I am sure it will make the winner very happy to receive it, too. Good Luck!